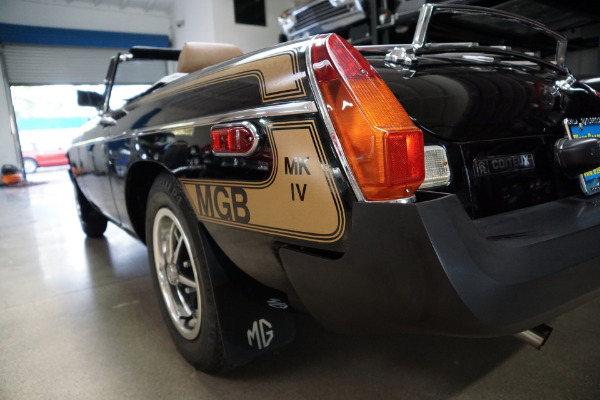 In 1979 MG introduced a handful of special models to celebrate 50 years of production at Abingdon, the 1,000 UK-market Limited Edition cars being the last built there before the factory's closure in October 1980. At the same time another Limited Edition model - an all-black roadster - was released in the USA, celebrating 30 years of MG sales there and built to that market's special requirements and in late 1980, an even rarer Mark IV edition was built for export to Canada with this particular car built in August 1980, less than two months before the official closure of the MG plant in October, and therefore one of the very last MG's ever built. The final MGBs to be produced for 1980 were named Limited Edition, of which the first examples were shipped into Canada in late 1979. 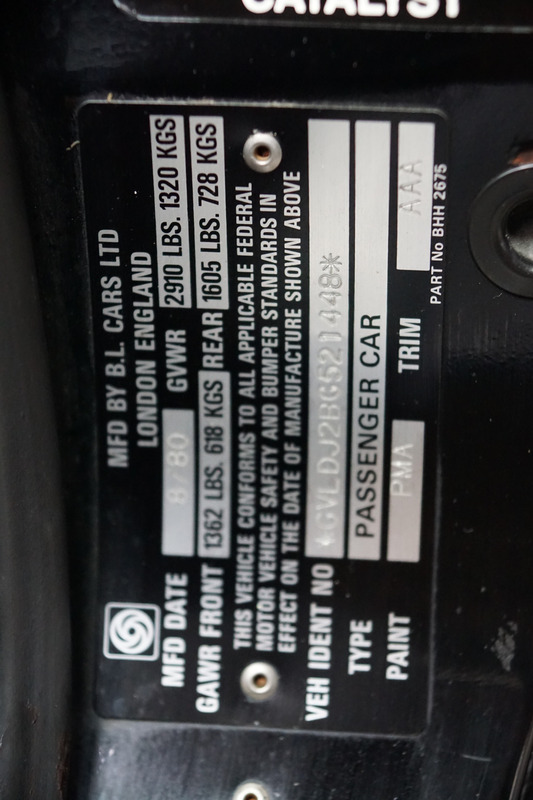 The Limited Edition cars for the American market were shipped to the U.S. in October of that year and came with one fan instead of two. 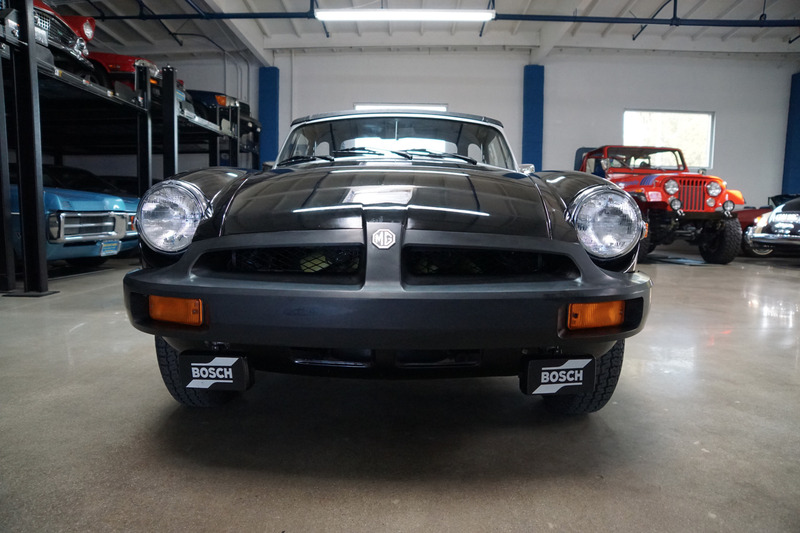 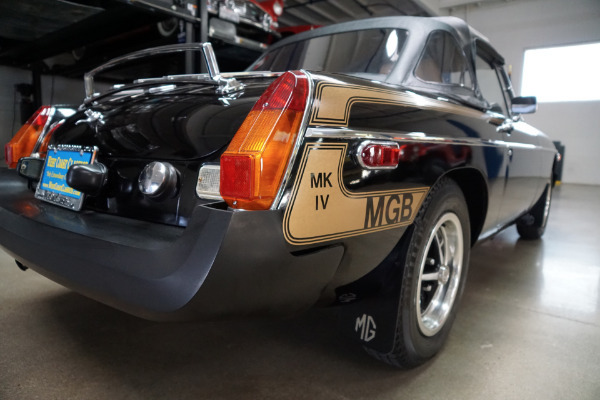 All of these final MGBs were finished in black with gunmetal-grey side stripes along the body and a front spoiler below the polyurethane nose. 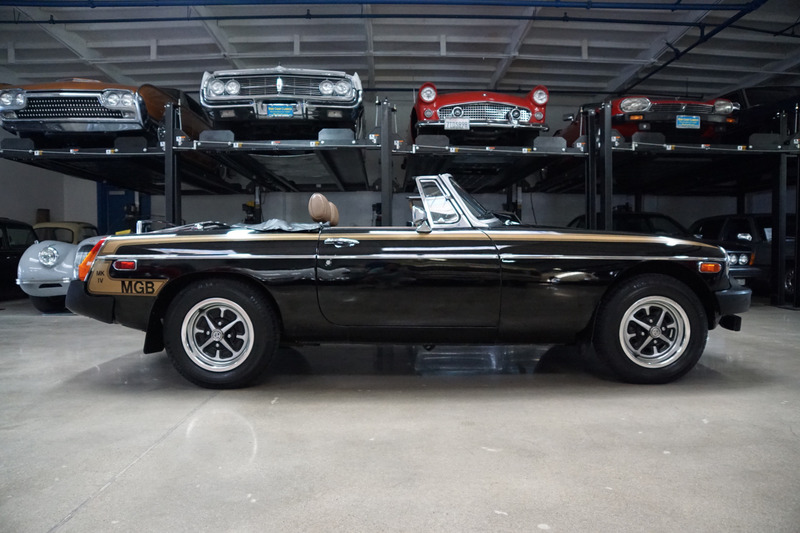 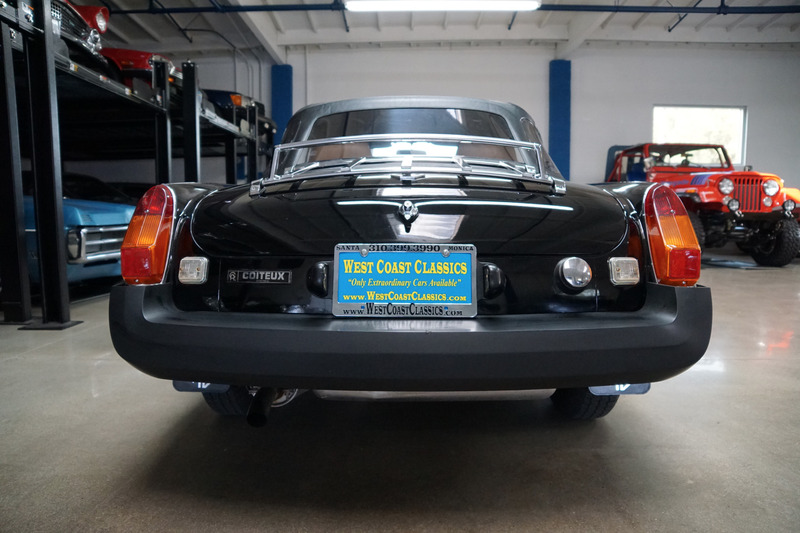 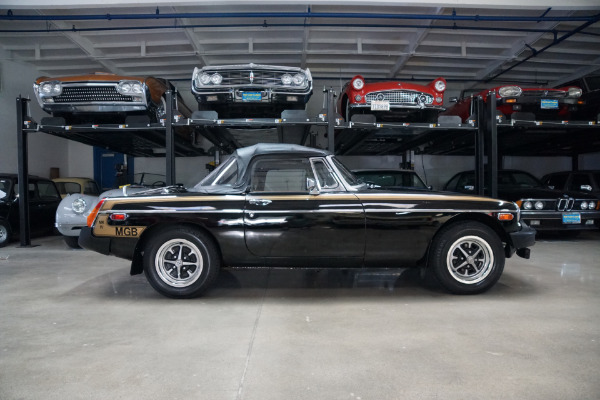 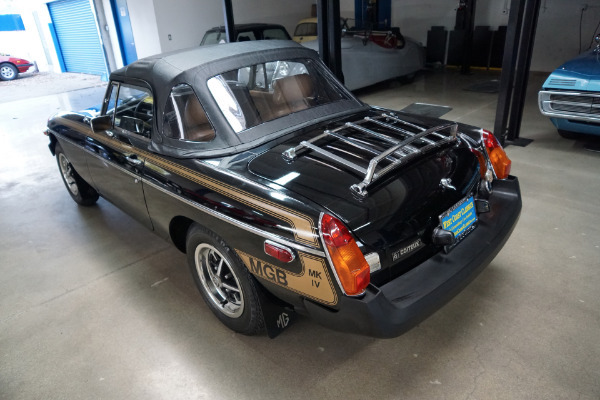 Additionally, these cars came with five-spoke alloy wheels, manufactured by GKN with MG hub center appliqus, special body striping and subtle interior upgrades and a luggage rack. 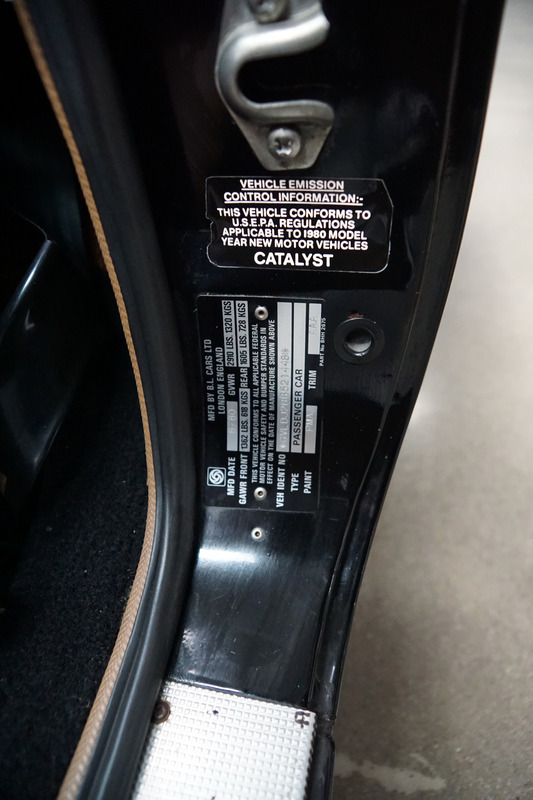 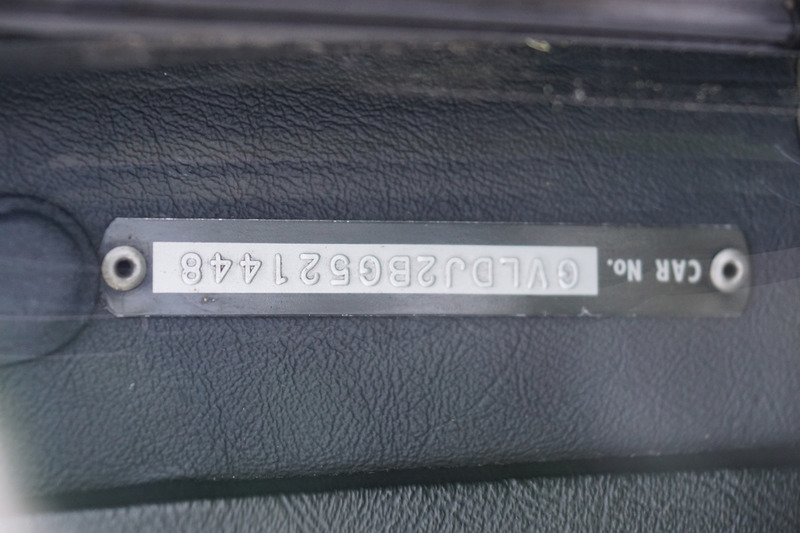 A Limited Edition dash plaque was installed on the glovebox as well. 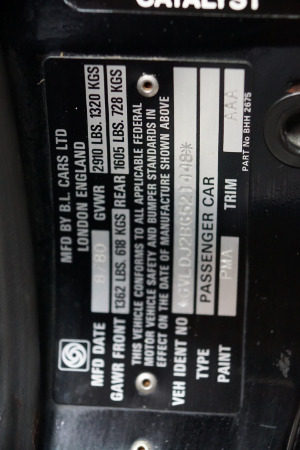 Of all the rubber bumper cars, this is the most collectible model and the one to look for. 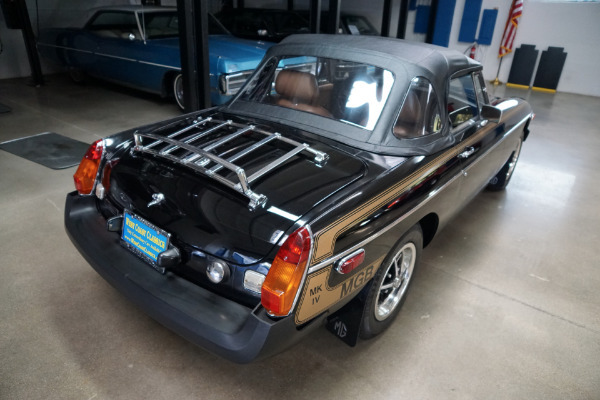 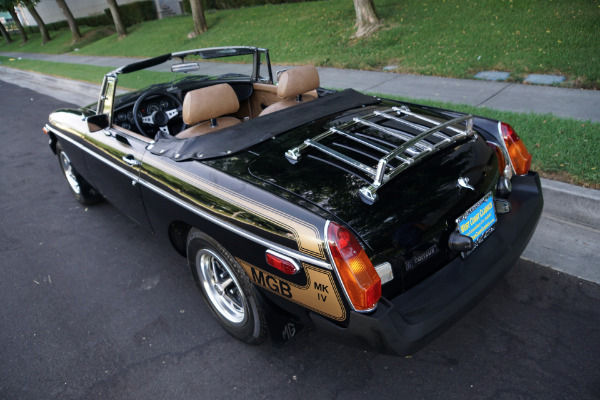 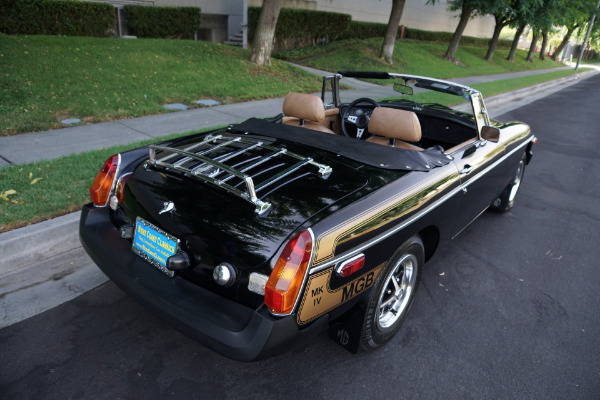 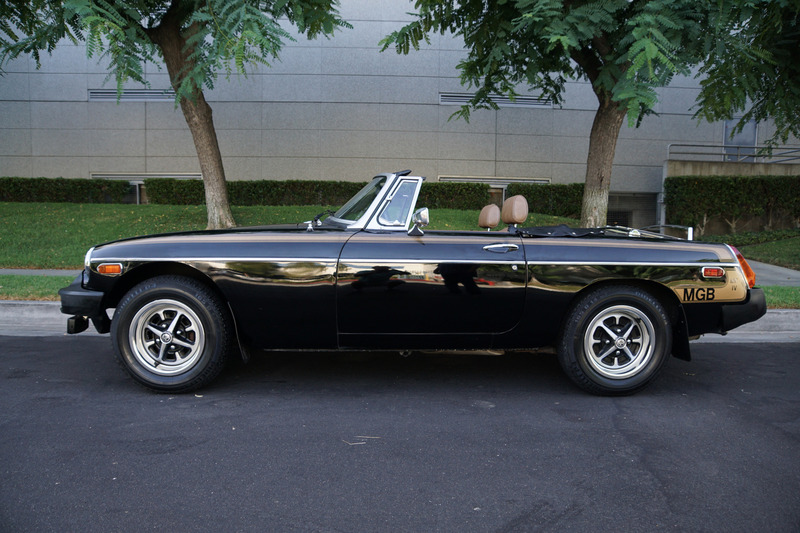 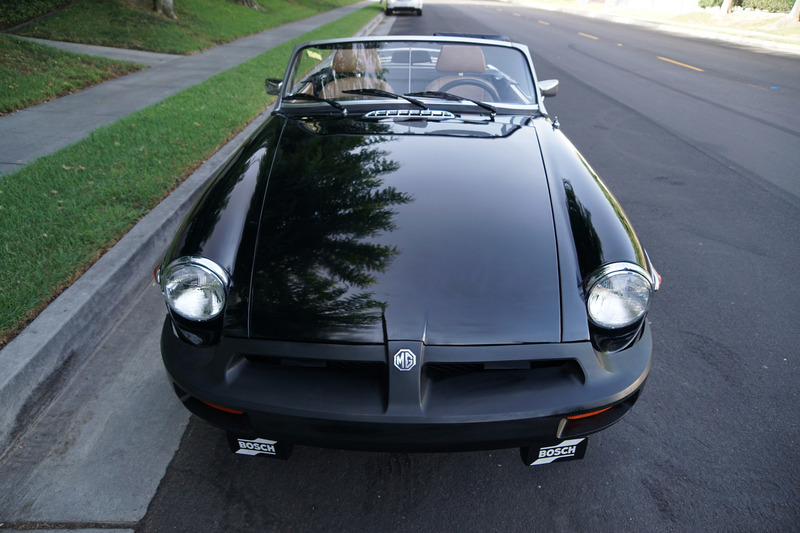 The 1980 MGB Limited Edition was probably the best MGB ever made. 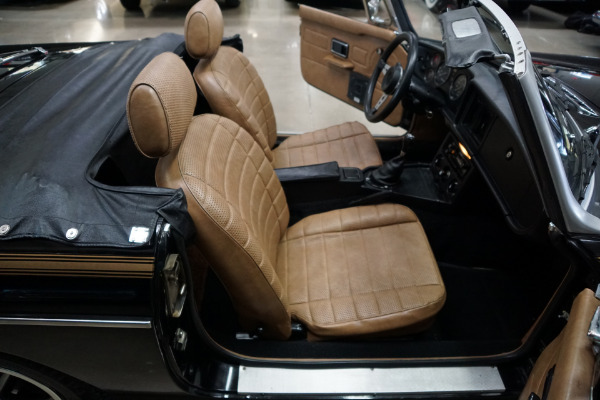 The Limited Edition (Made for the USA) was shipped to the USA in 10/79 (with one fan, rather than two) and they introduced it with the Champagne interior. 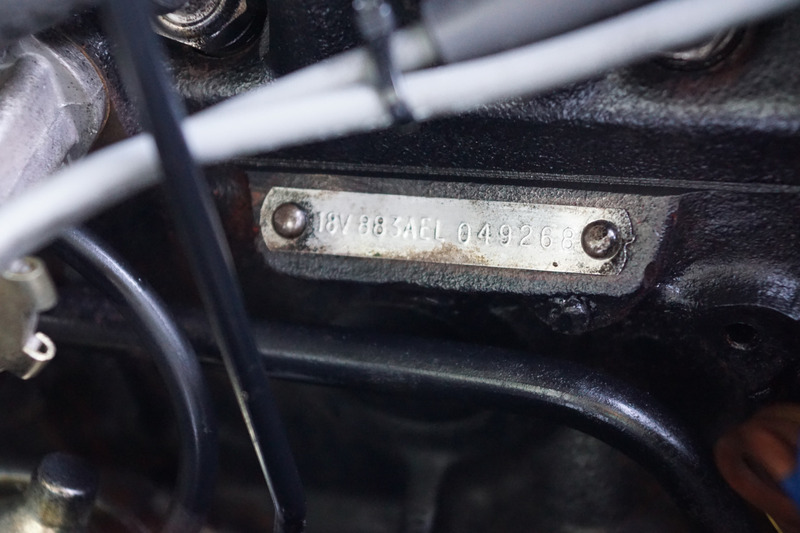 The manufacture of all MGs ended in 10/1980. 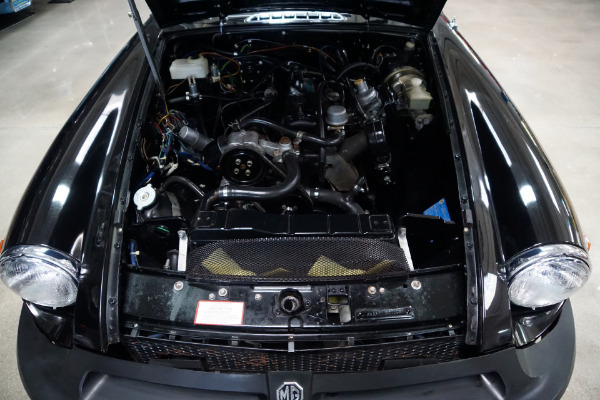 The even rarer Mark IV editions were exclusively built and marketed as the last MG's to be exported to the Canadian market and had the same paint and interior colors and luggage rack as the LE models but with Mark IV graphics, Bosch fog lights and twin cooling fans. 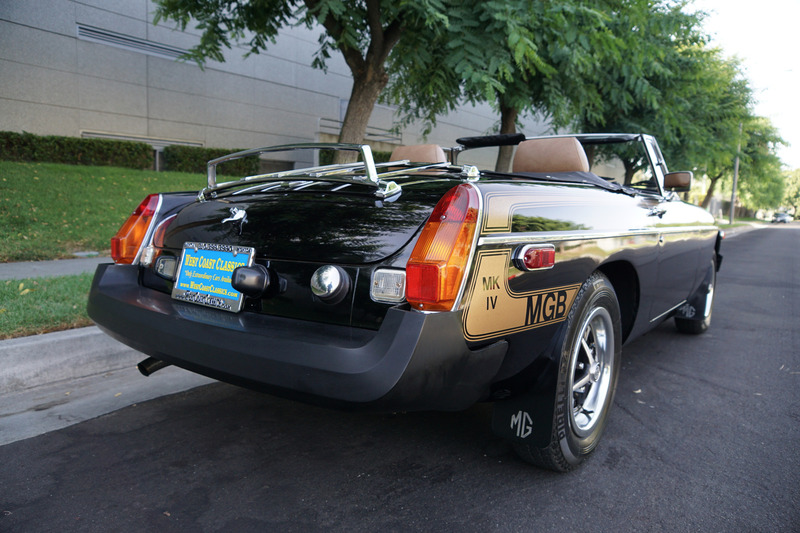 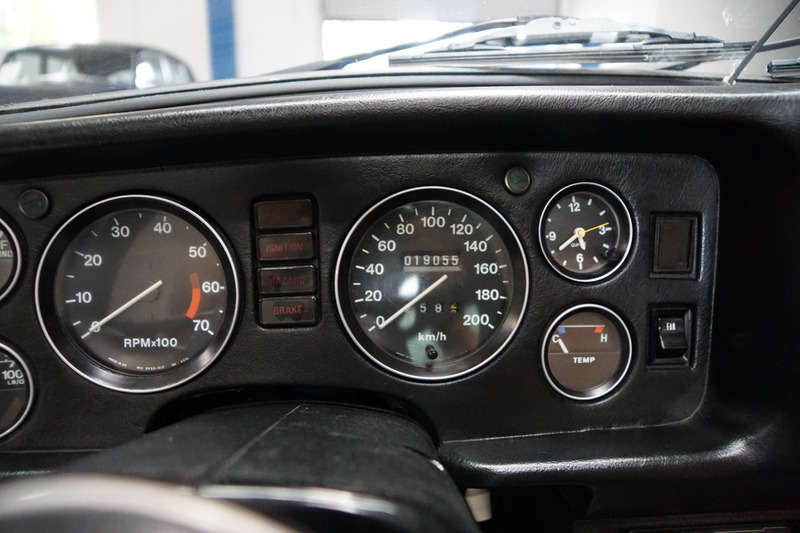 This particular car was built in August of 1980, two months before the last MG was ever built. 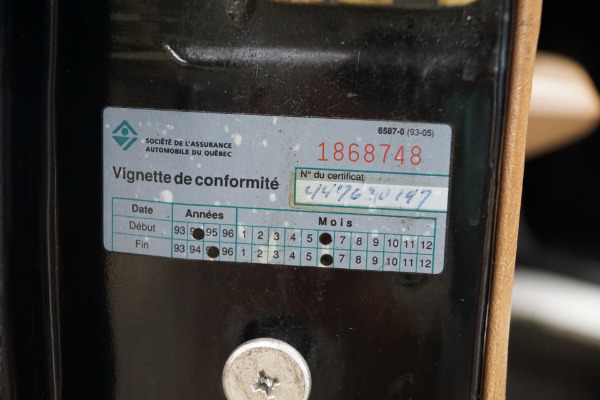 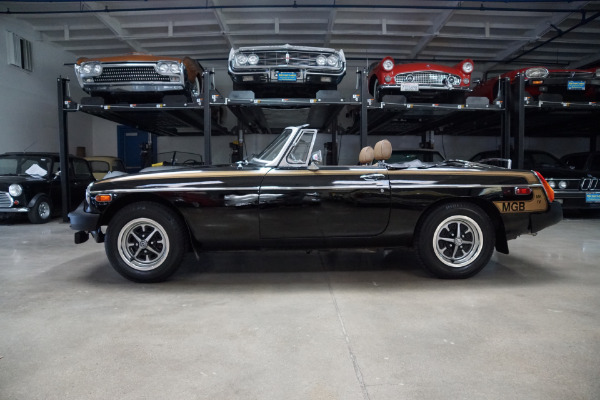 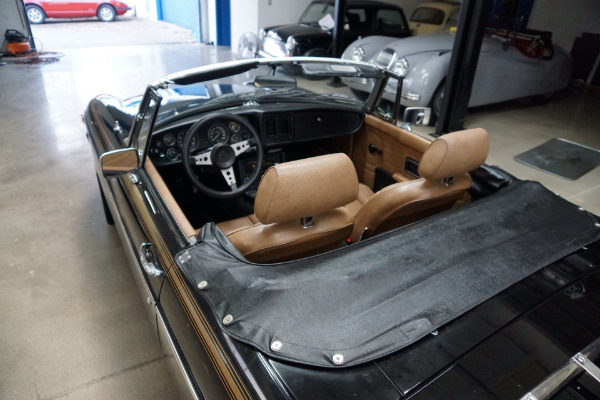 This particular example is believed to have 19,047 original kms (11,835 original miles) and certainly shows as such, it has no rust, no signs of any accidents or repairs, a new black convertible top, a tonneau cover and full weather tonneau cover and it's original factory spare wheel and tire tools in the trunk. 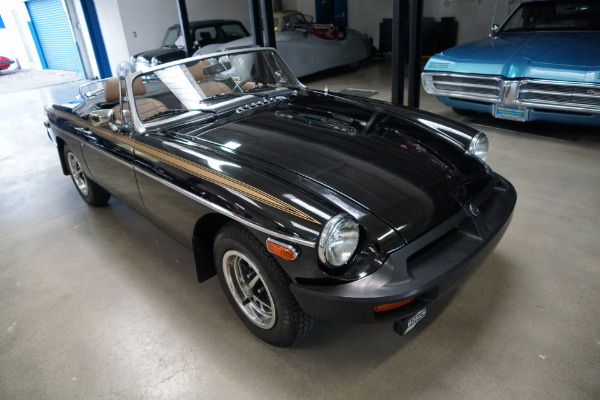 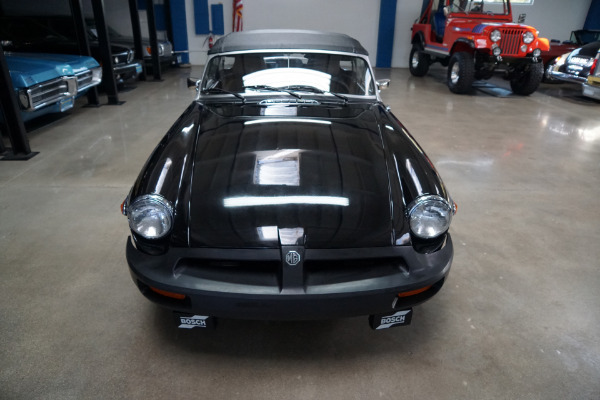 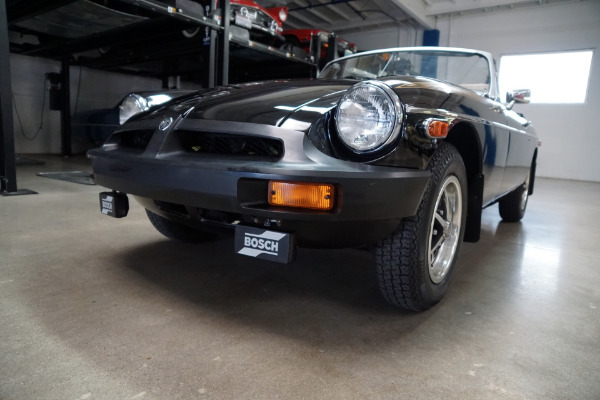 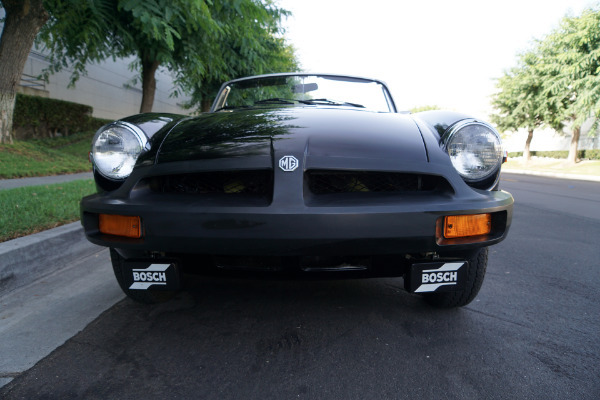 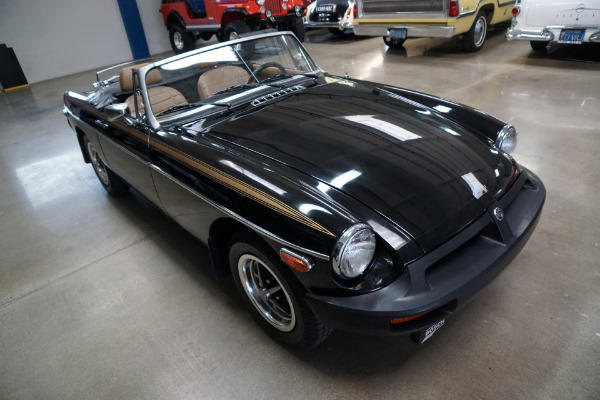 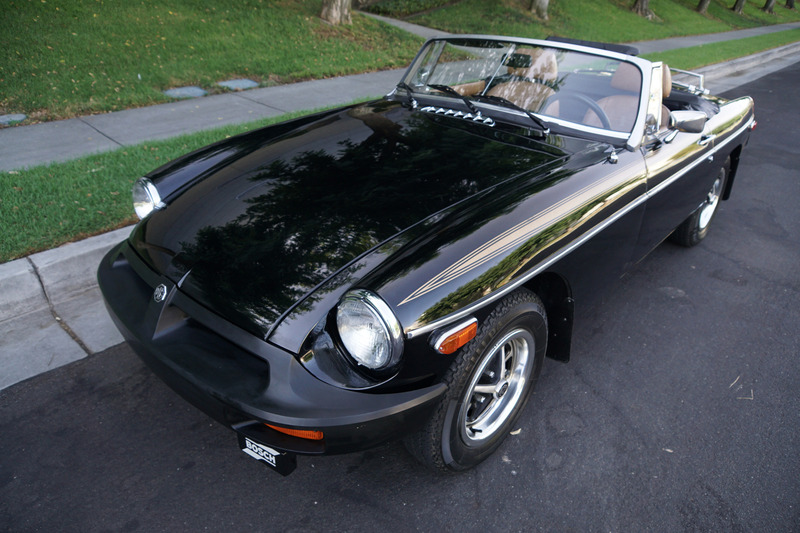 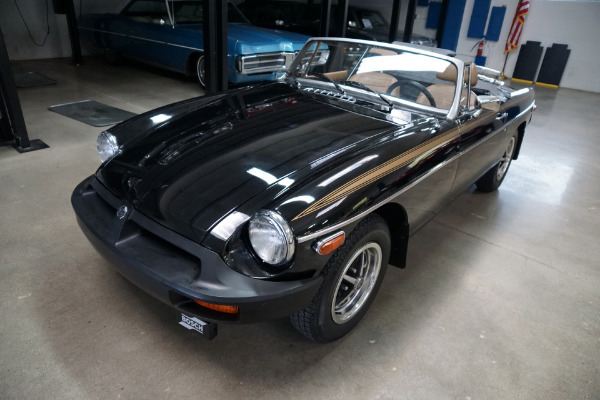 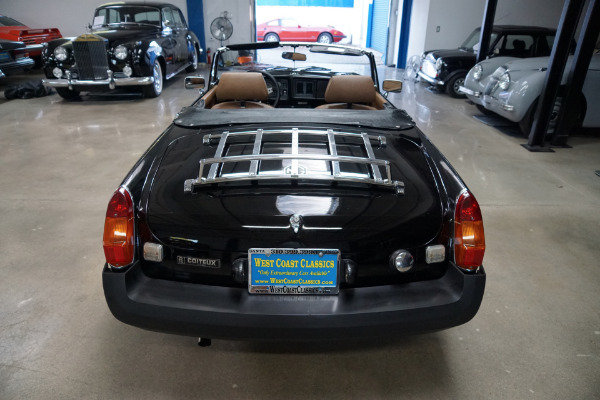 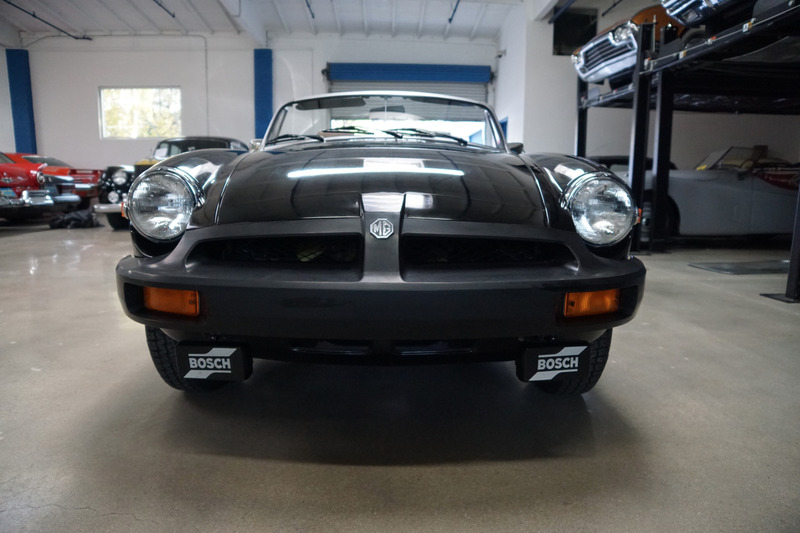 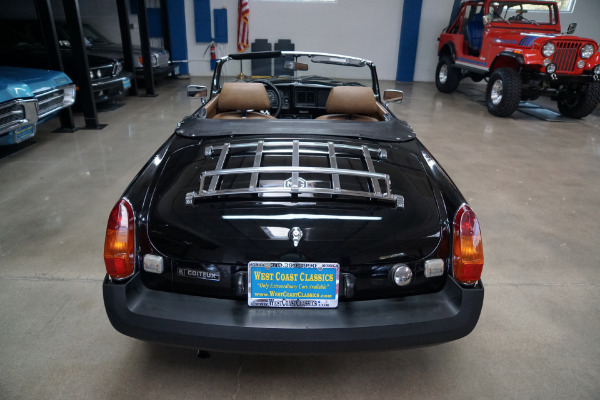 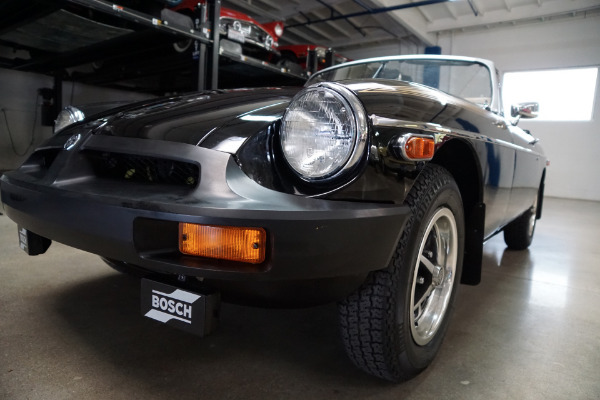 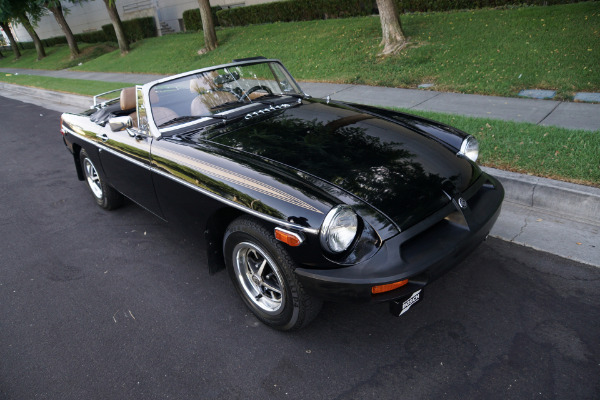 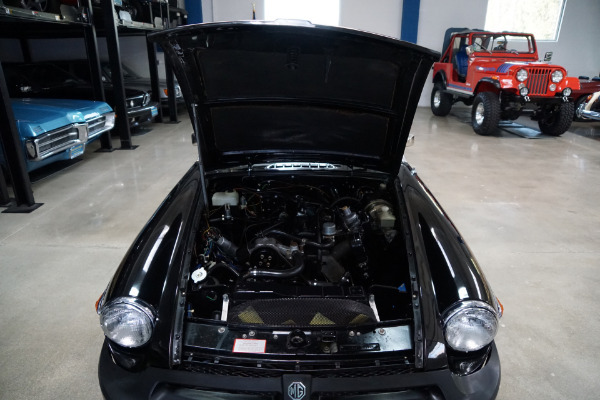 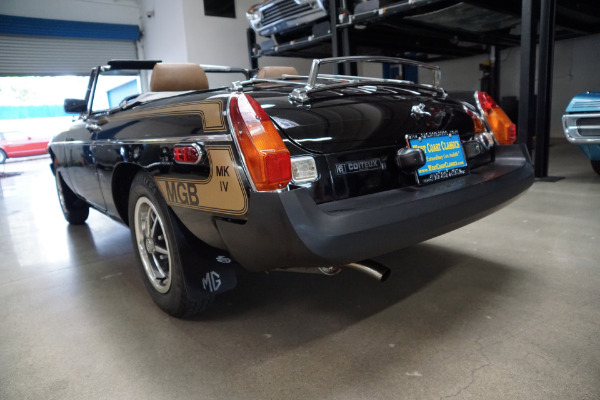 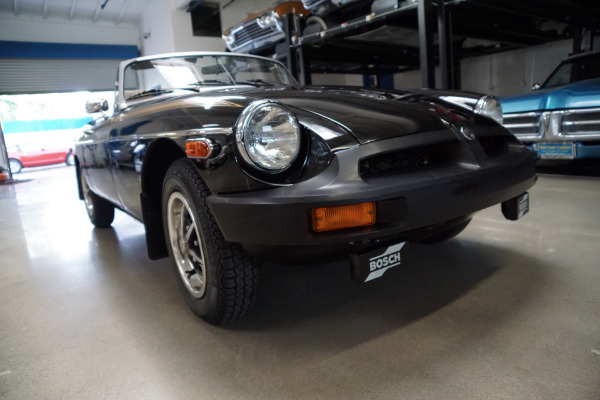 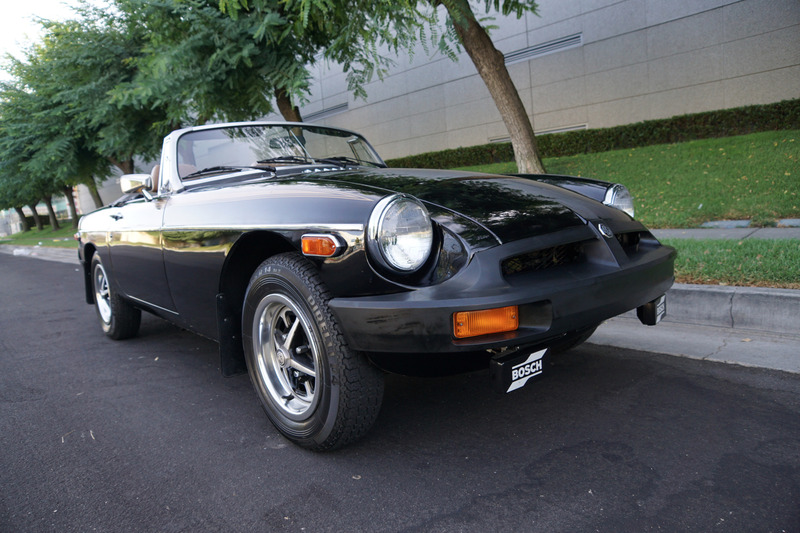 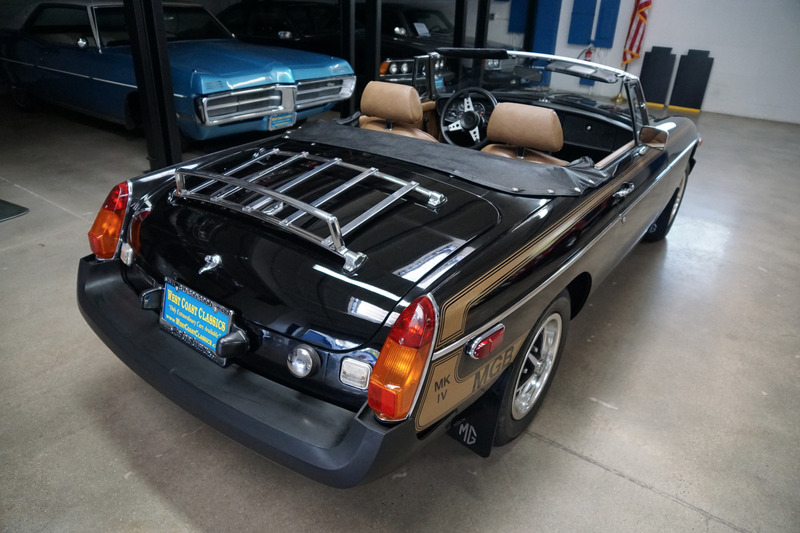 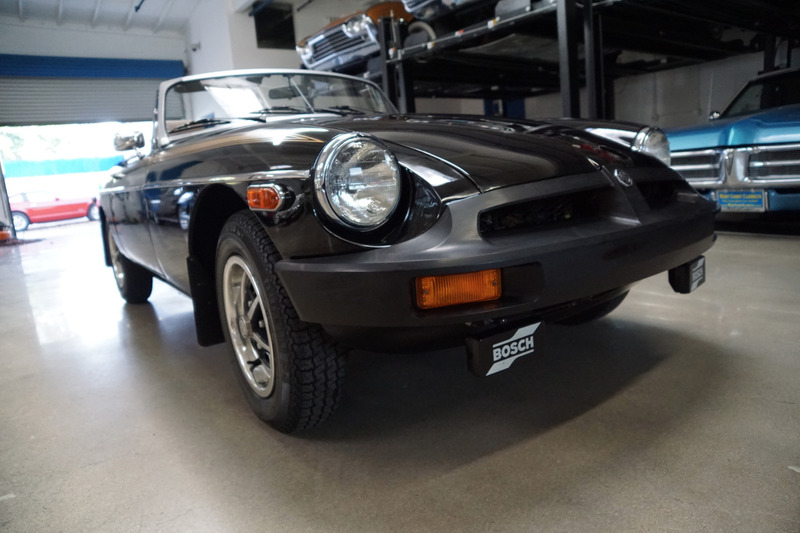 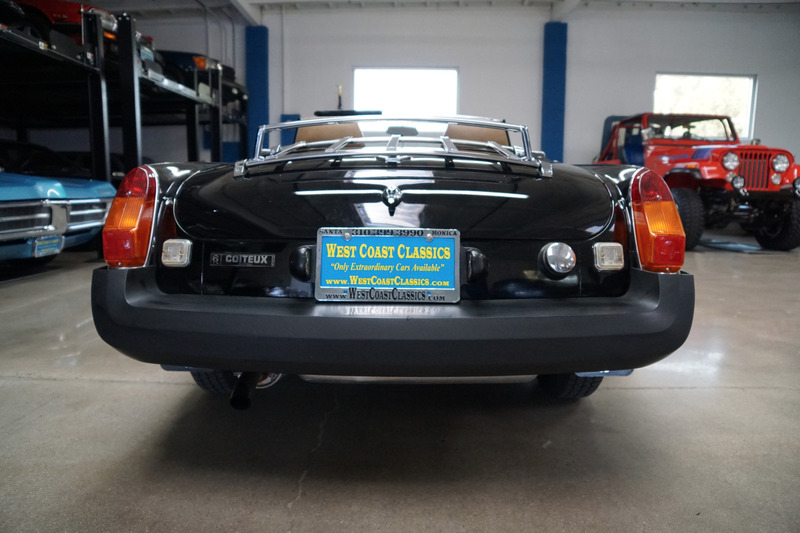 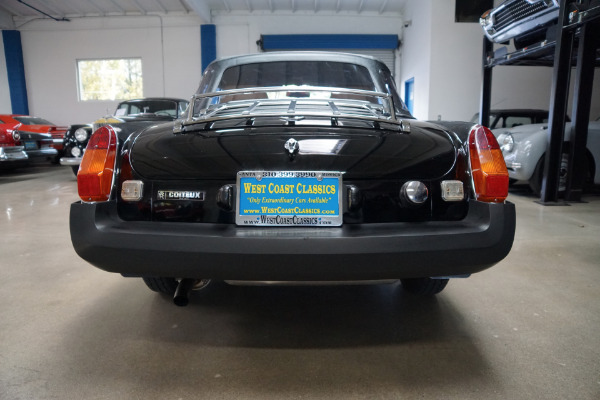 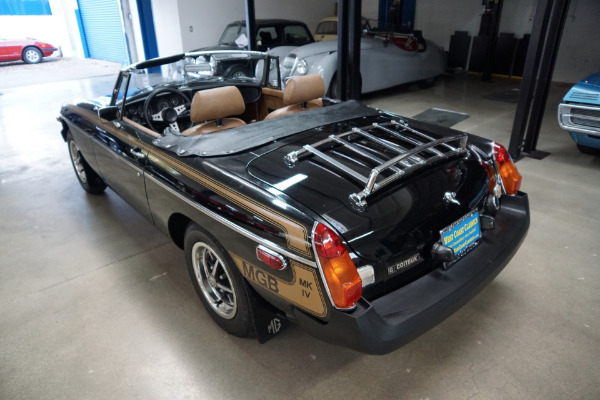 This is obviously one very rare and highly desirable example of the very last year and months of production of this classic British sports car - a nice and unblemished and mostly all original rust free 1981 MGB Mark IV roadster! 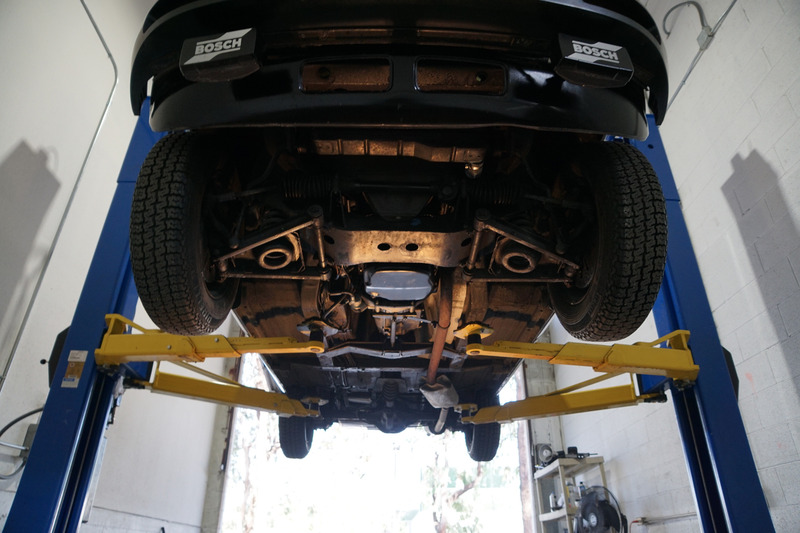 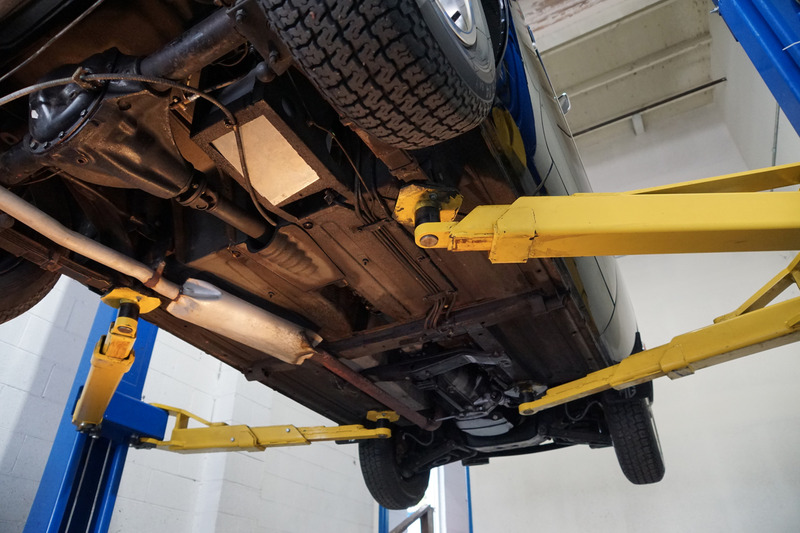 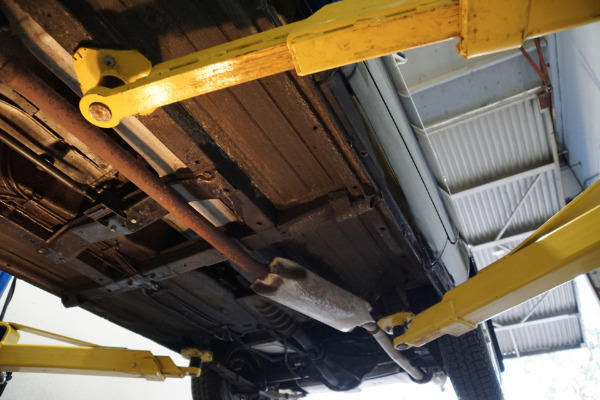 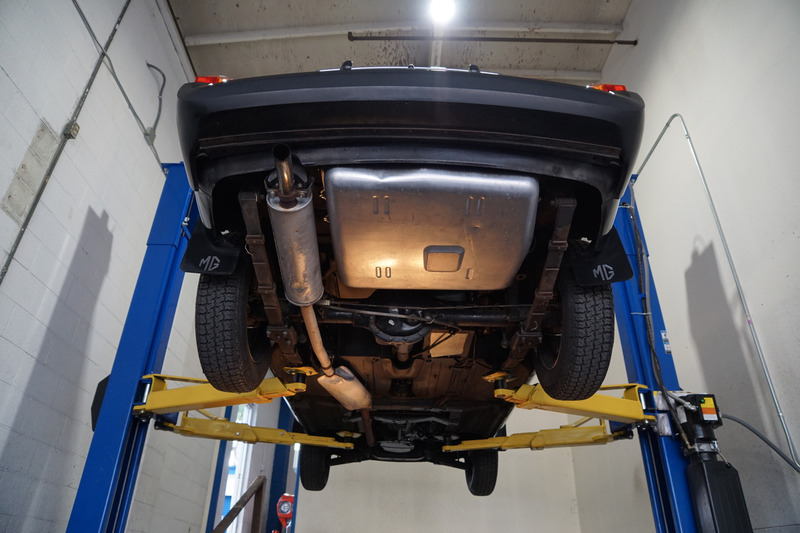 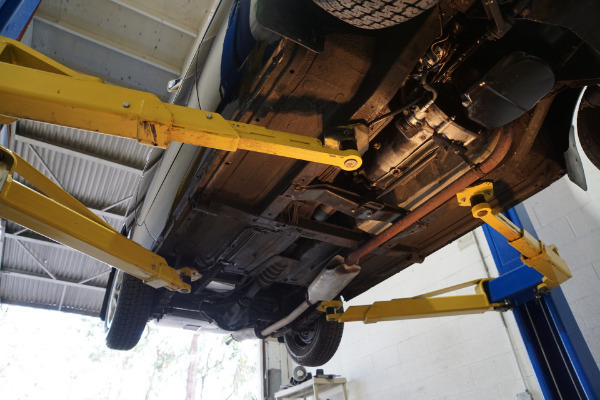 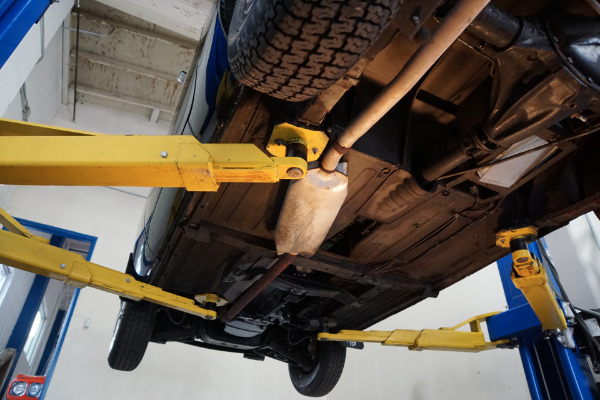 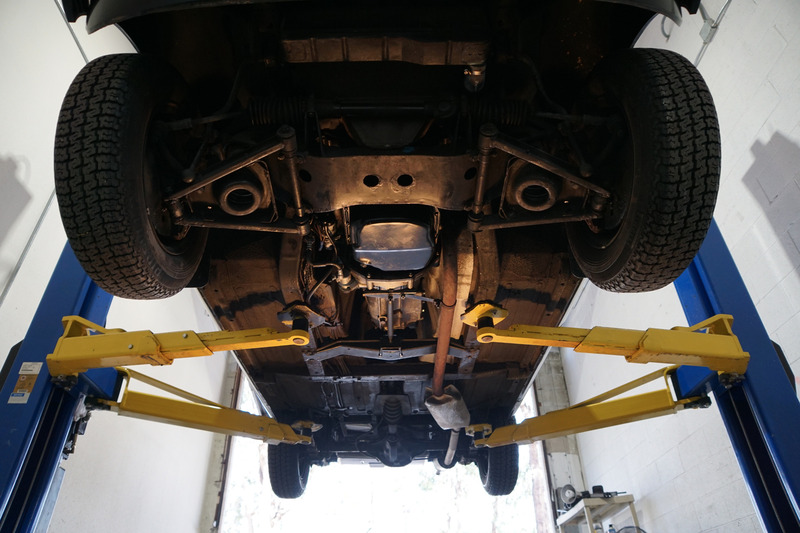 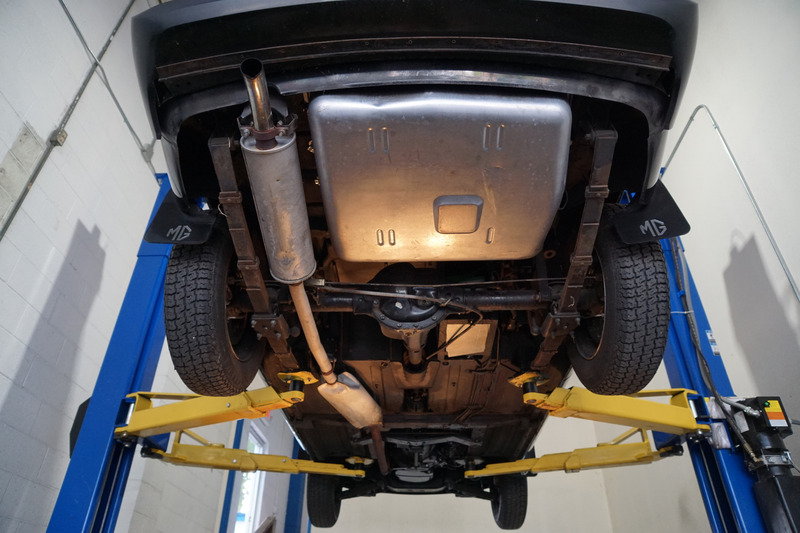 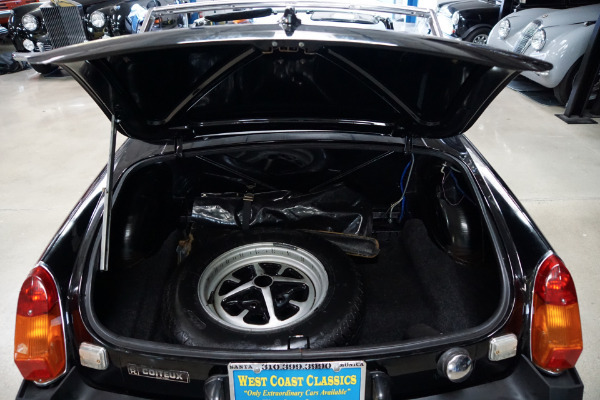 The trunk, floor boards, rocker panels and all the typically rust prone areas are all completely solid and rust free - an obviously always garaged example! 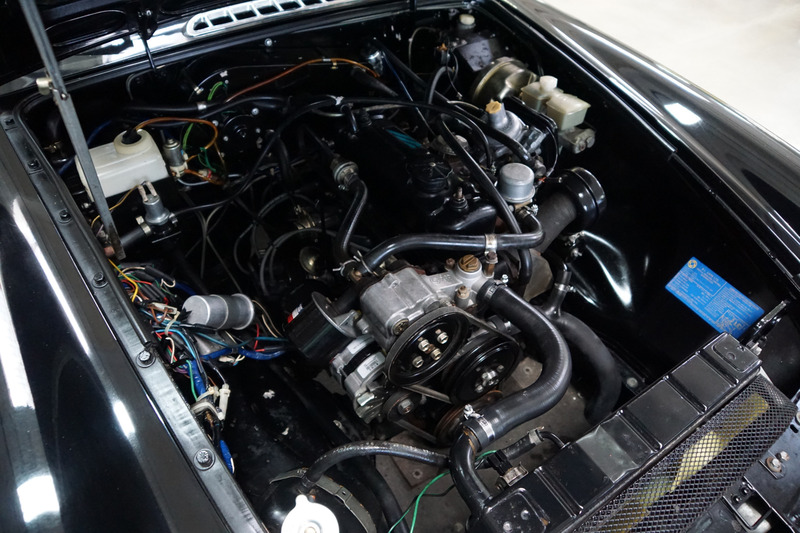 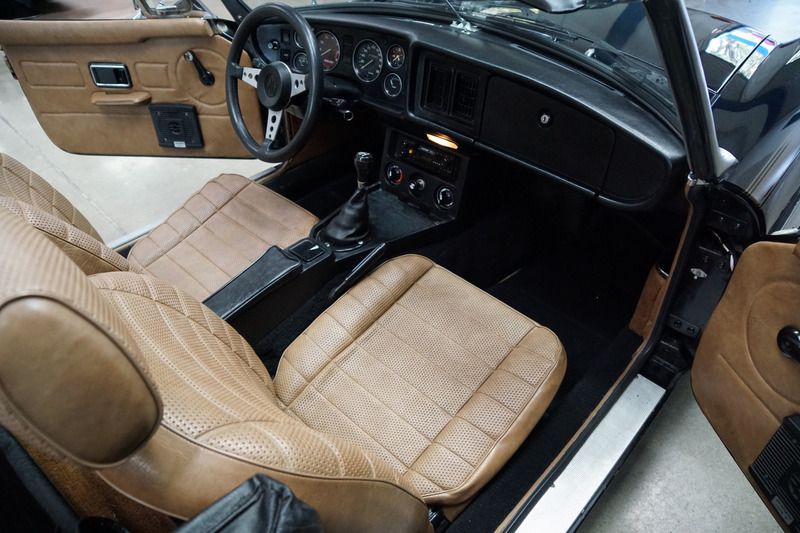 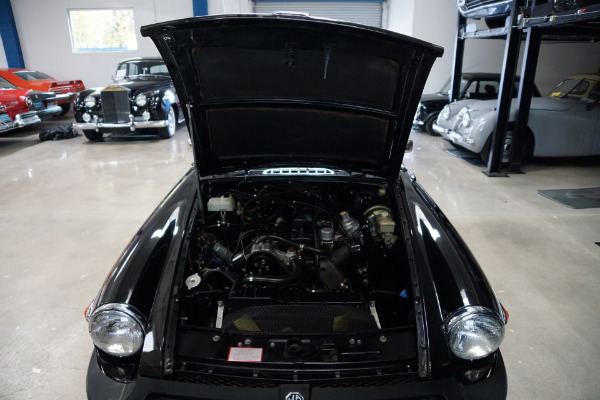 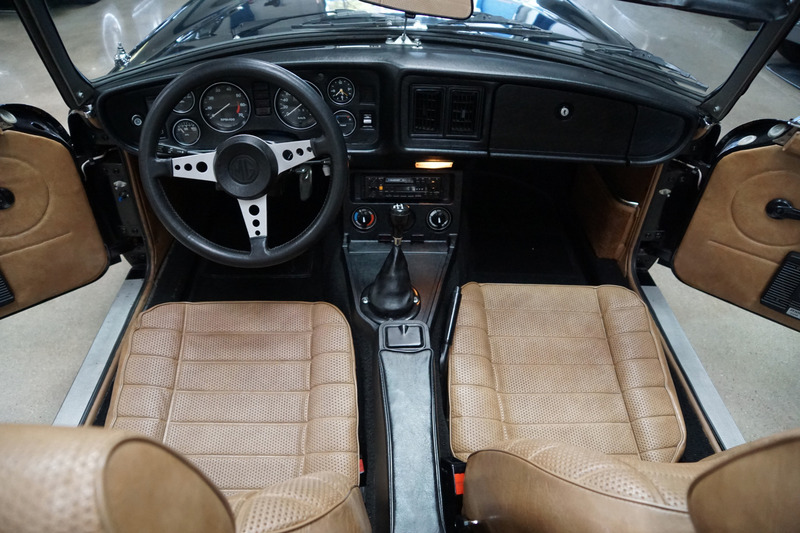 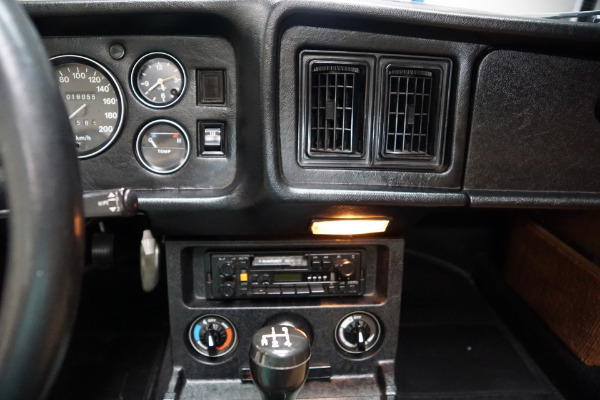 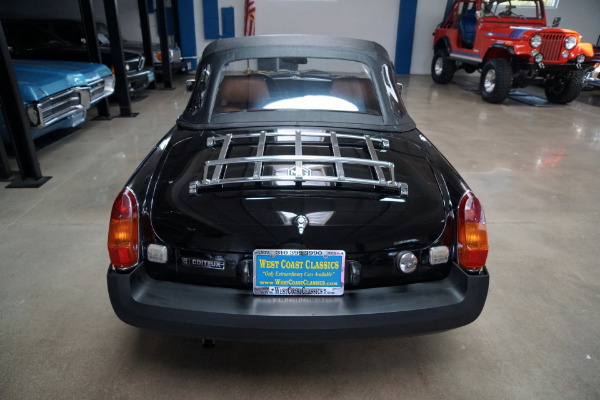 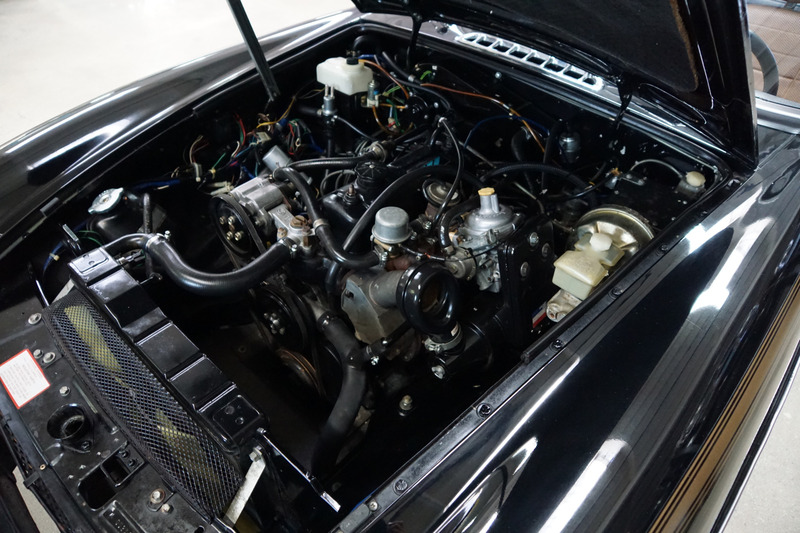 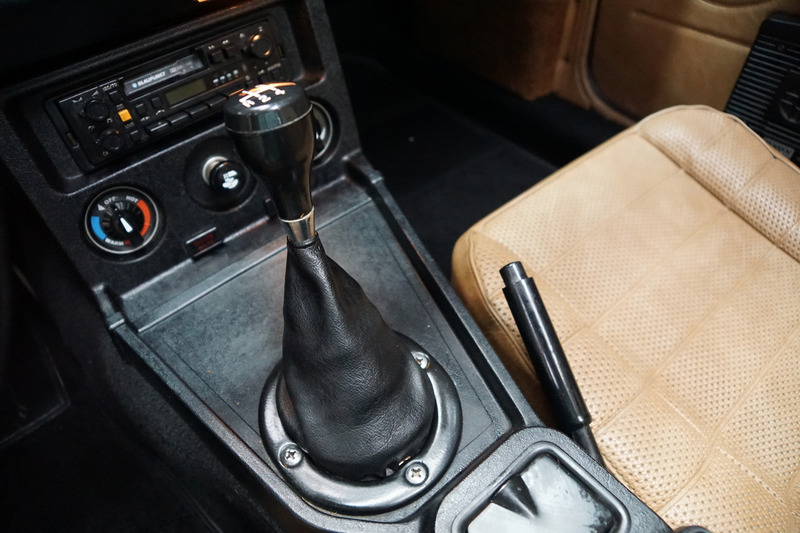 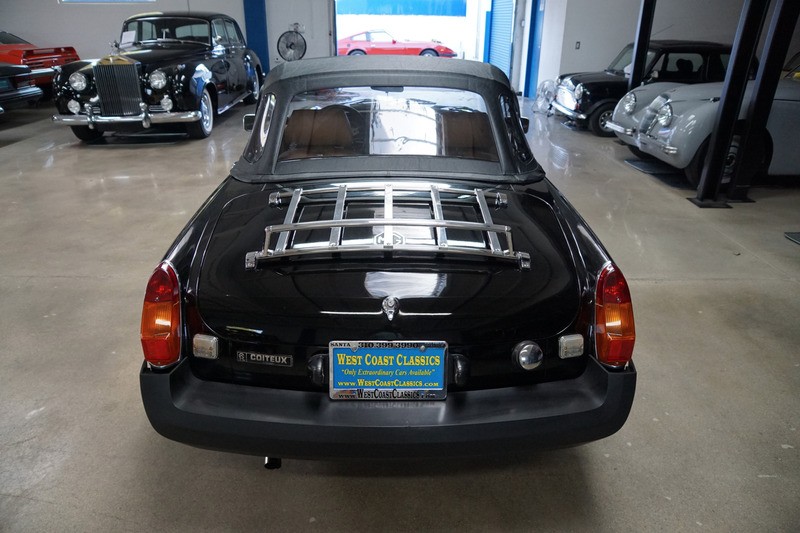 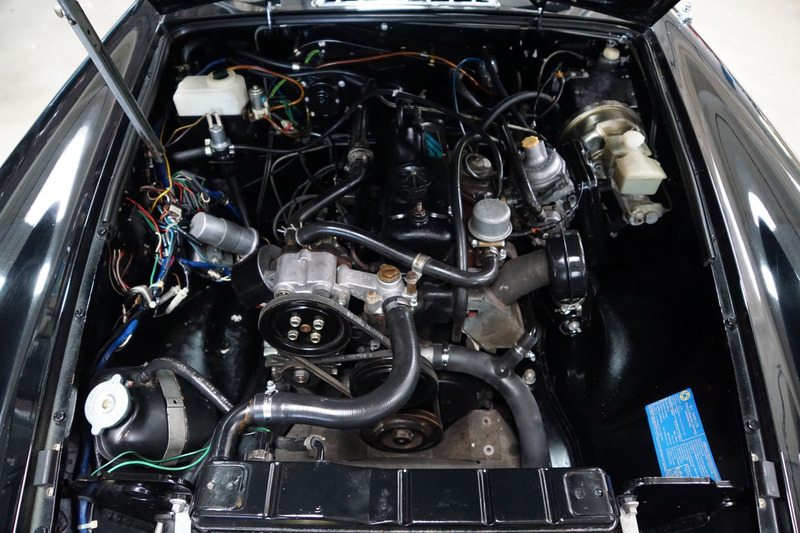 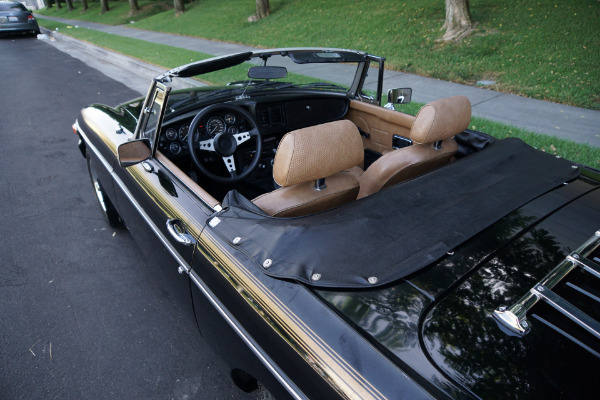 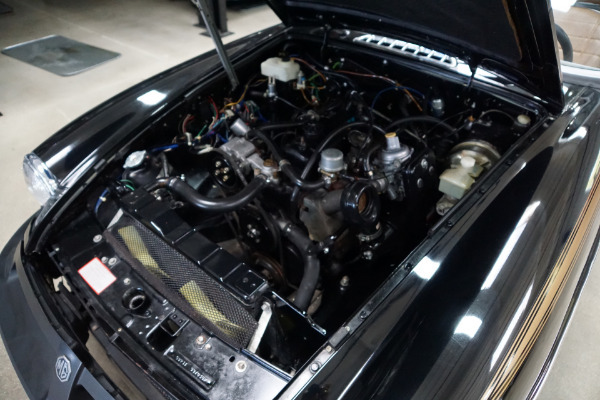 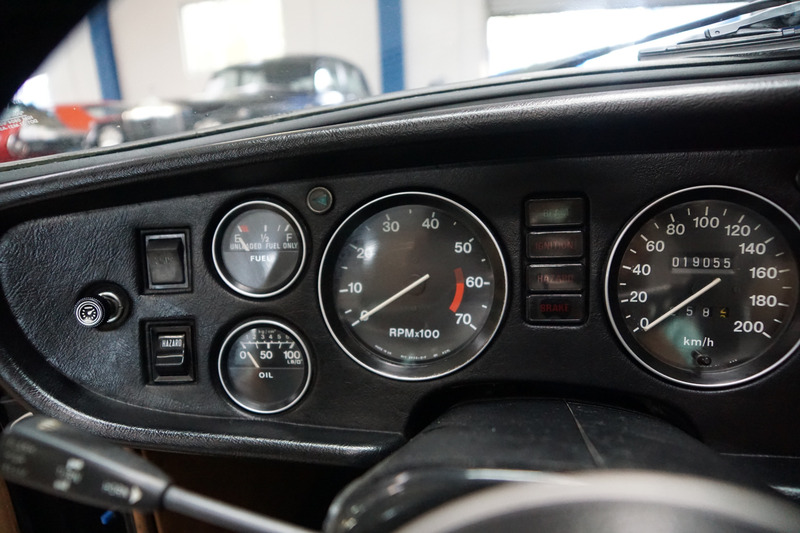 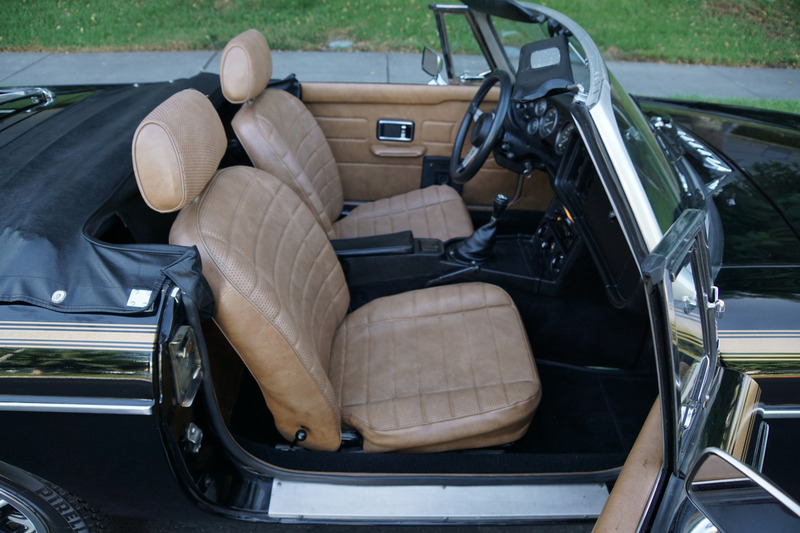 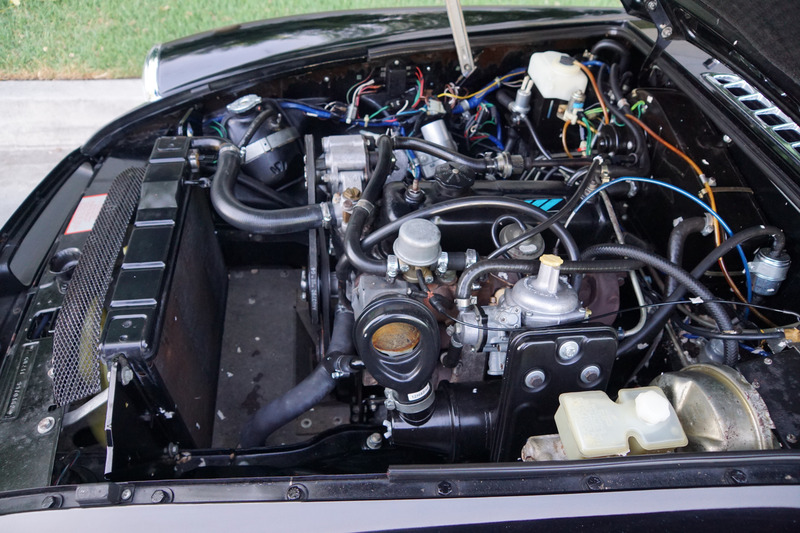 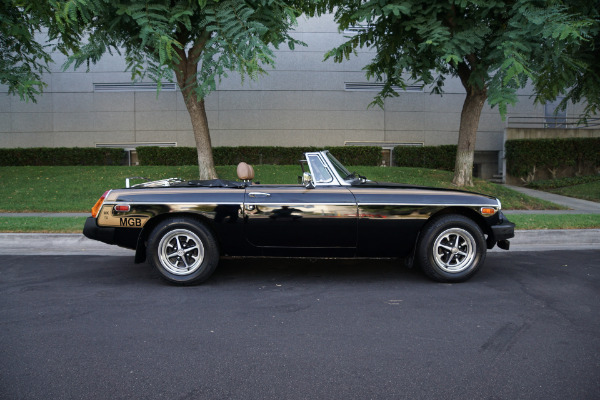 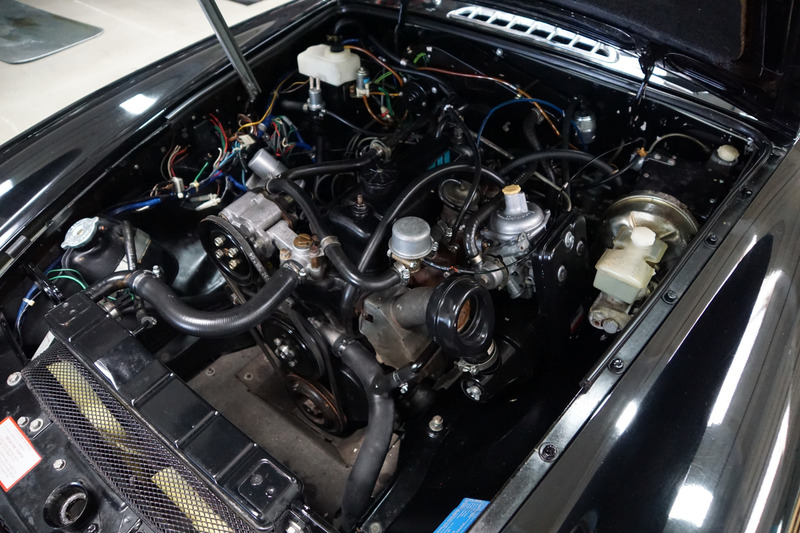 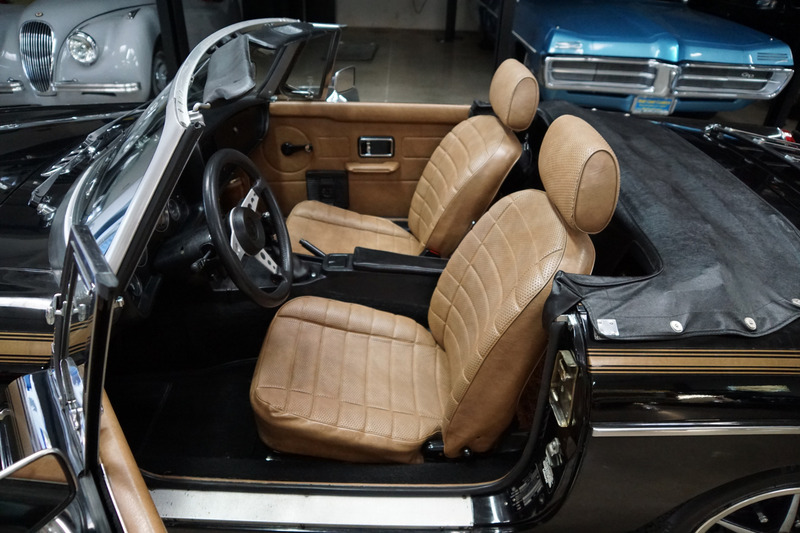 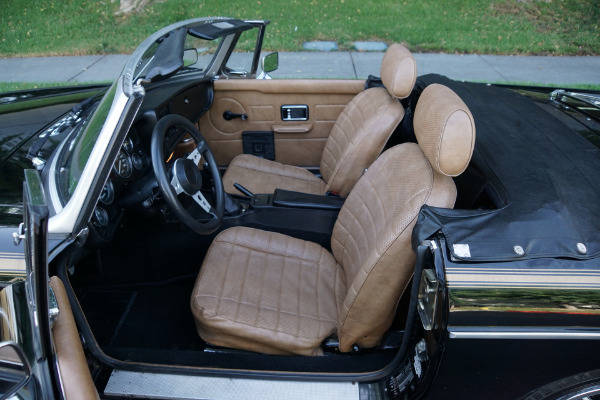 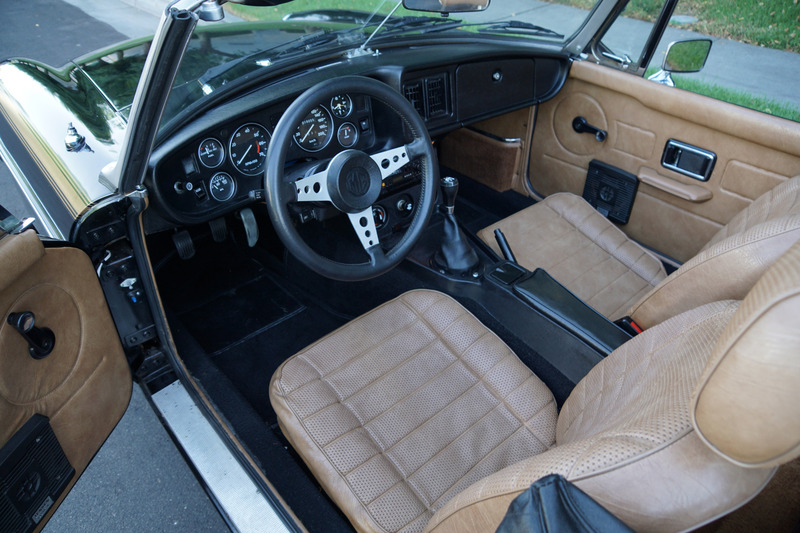 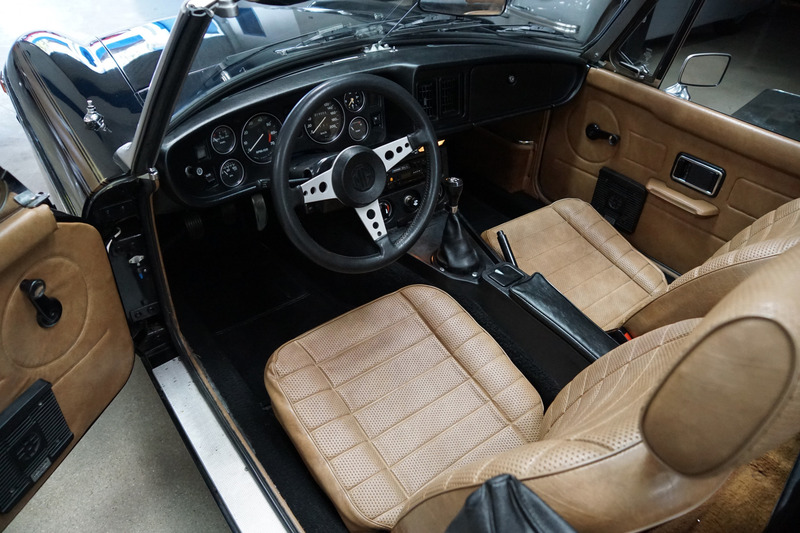 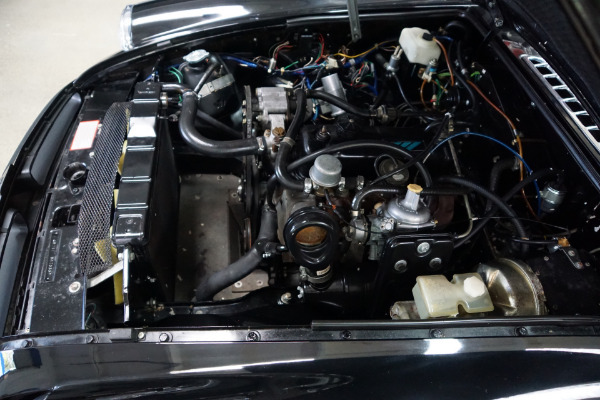 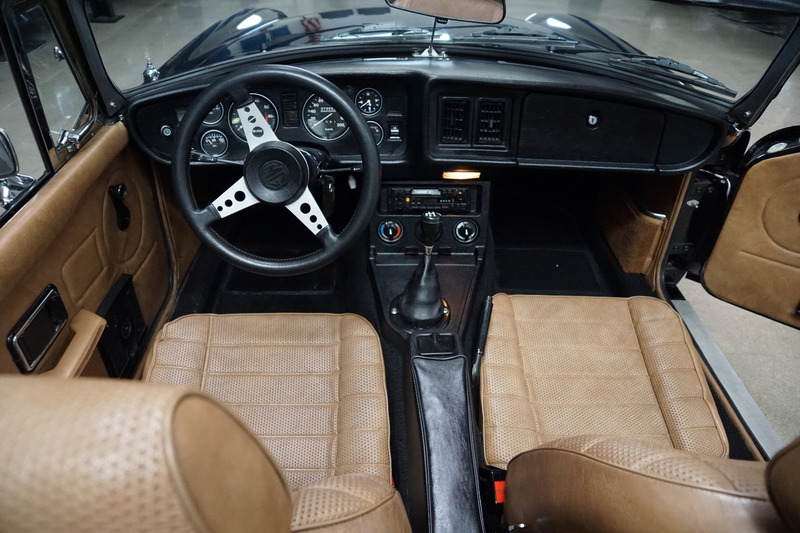 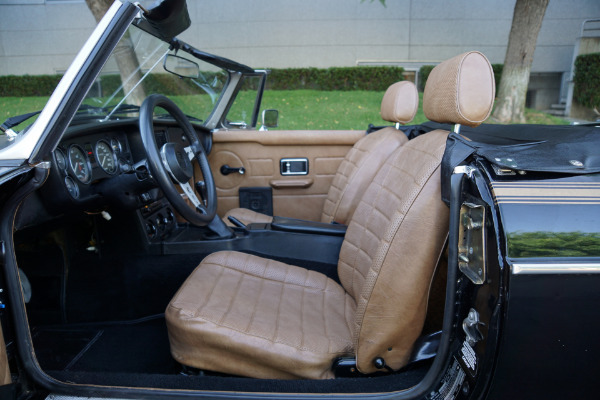 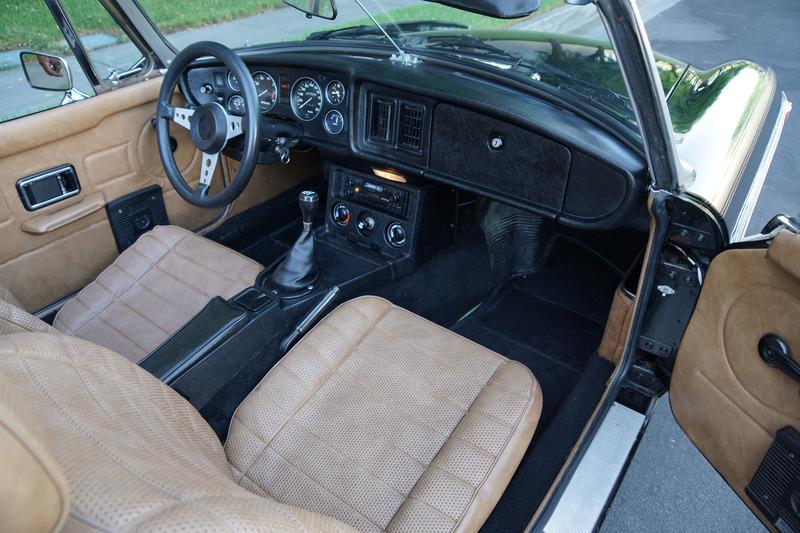 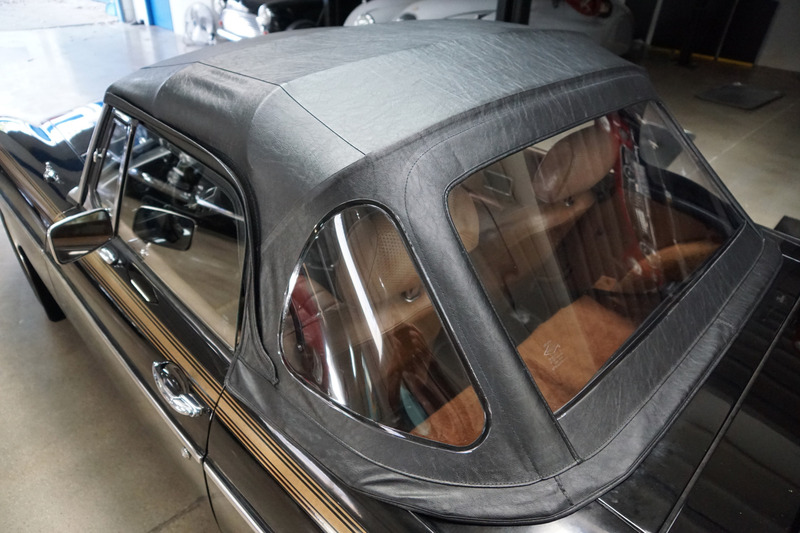 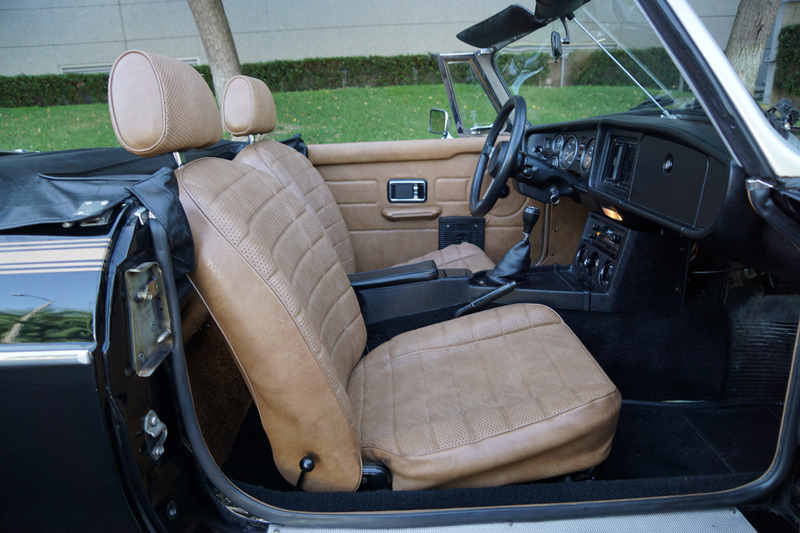 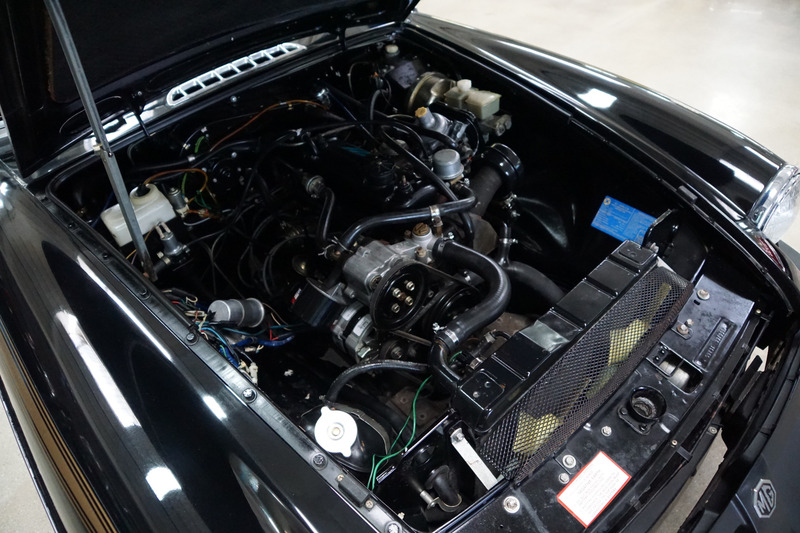 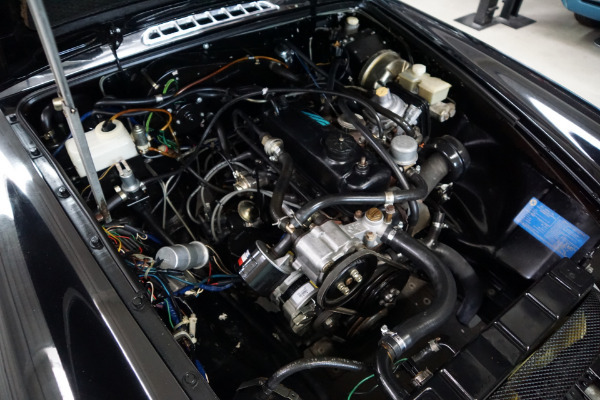 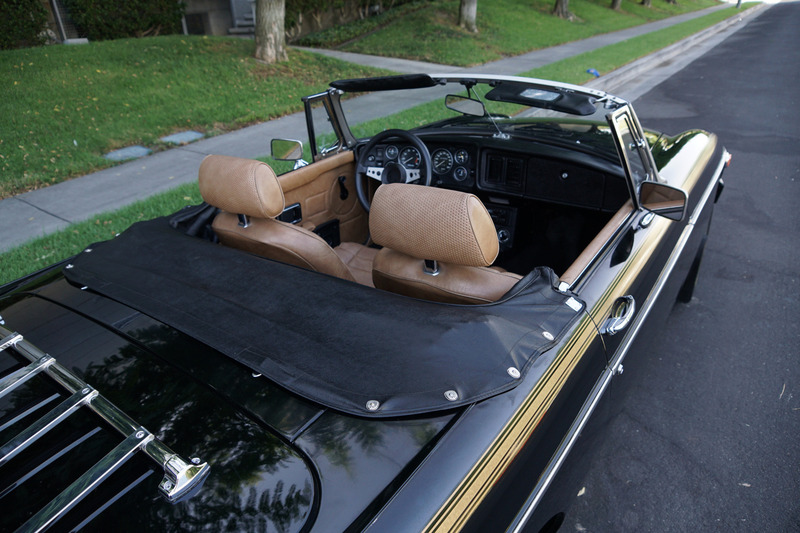 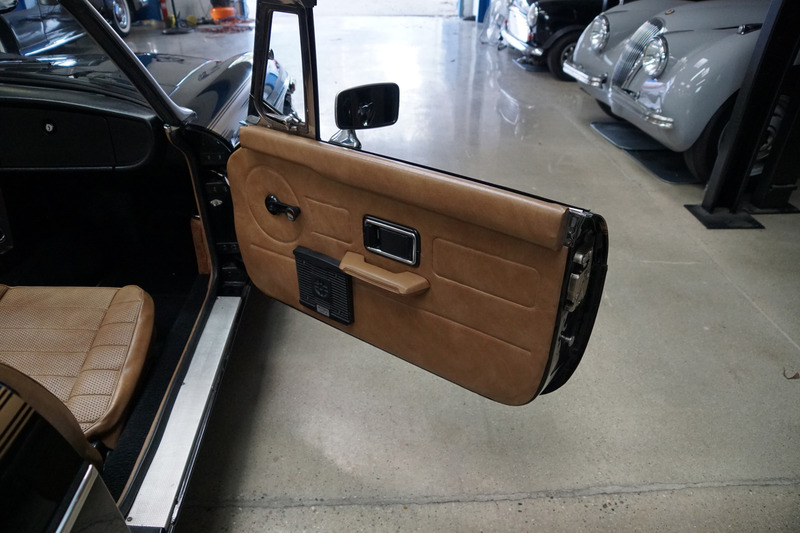 The 'Black' original color paint is in great condition as is the Champagne interior. This car drives very well, the engine purrs imperceptibly under the hood and the 4 speed manual transmission shifts smoothly through the gears - an absolute pleasure to drive! 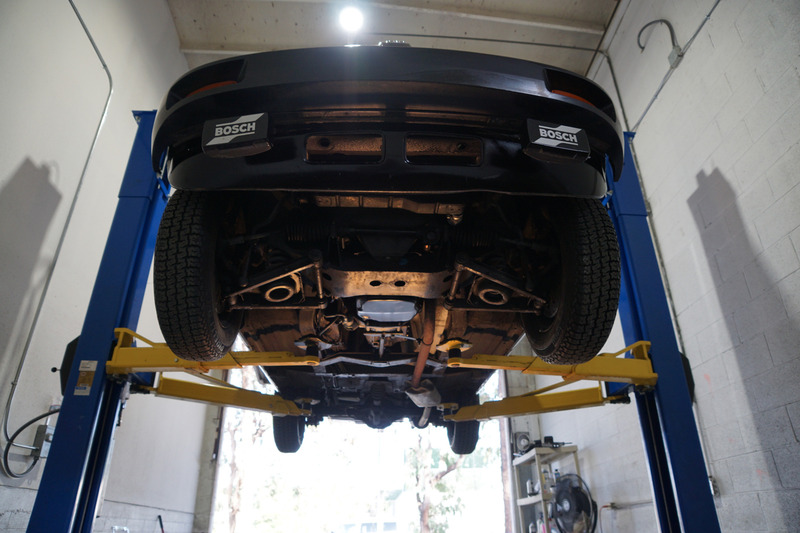 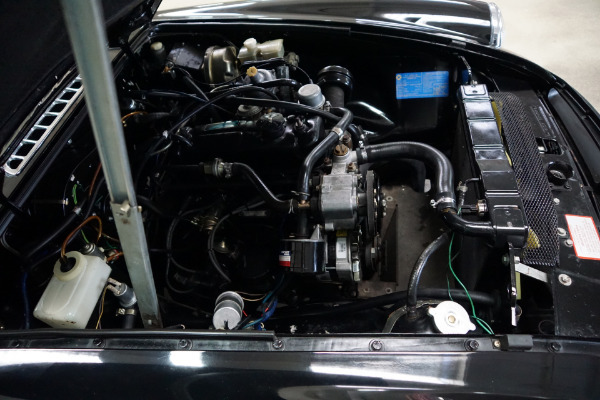 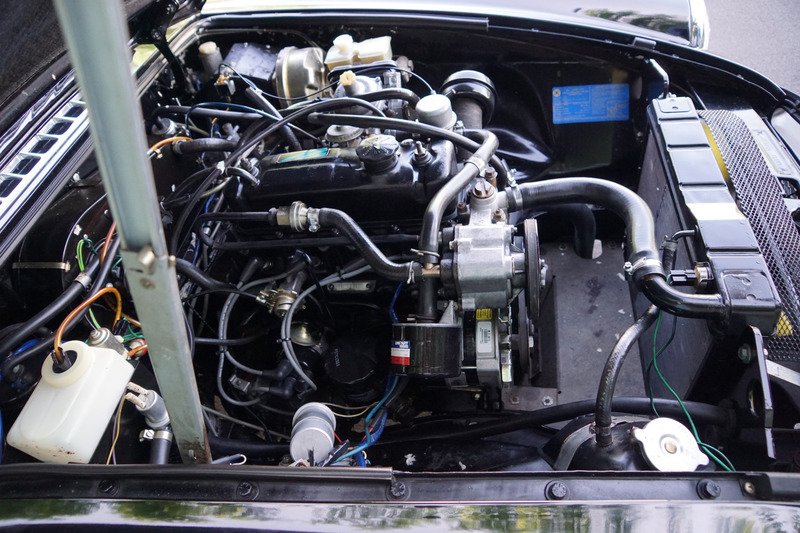 The temperature always remains cool and there are no noticeable oil leaks. 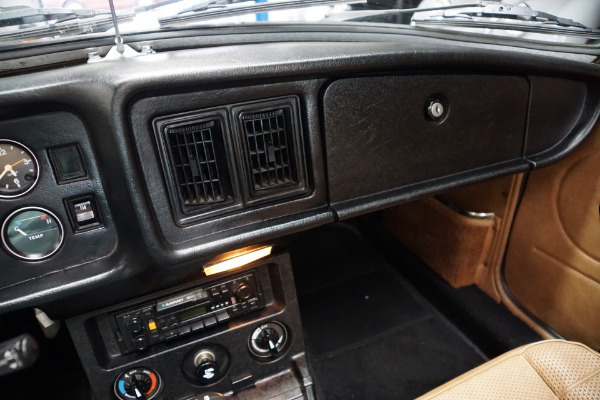 This is a very rare example that has never been altered, never hacked or molested with speaker holes for example and with wiring that has not been tampered with. 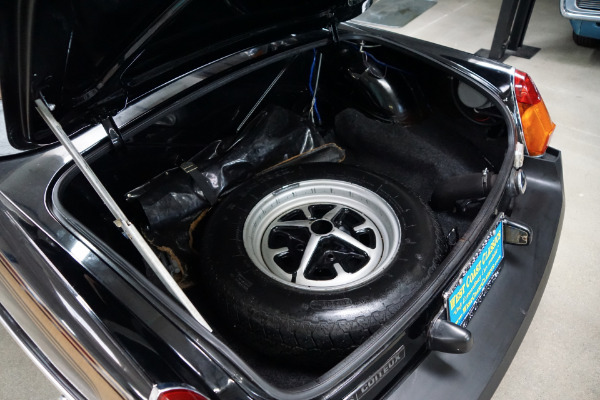 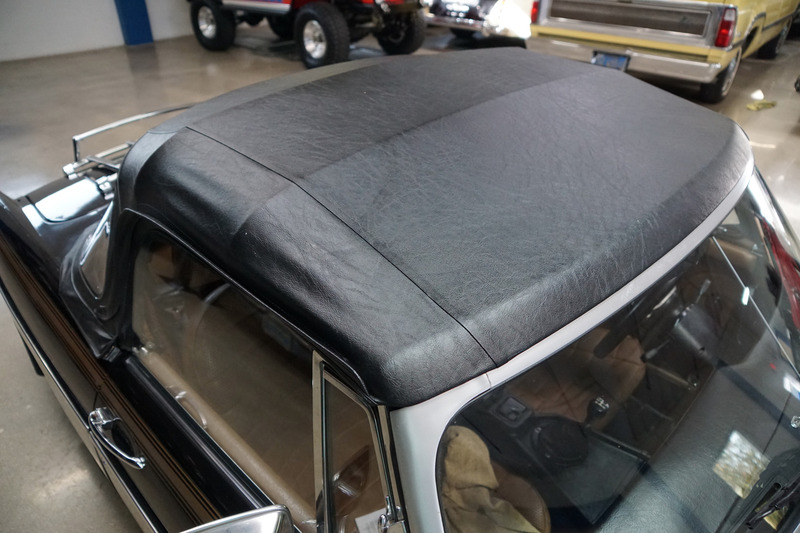 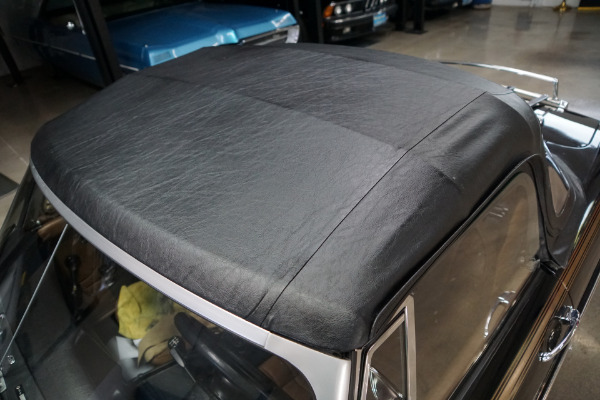 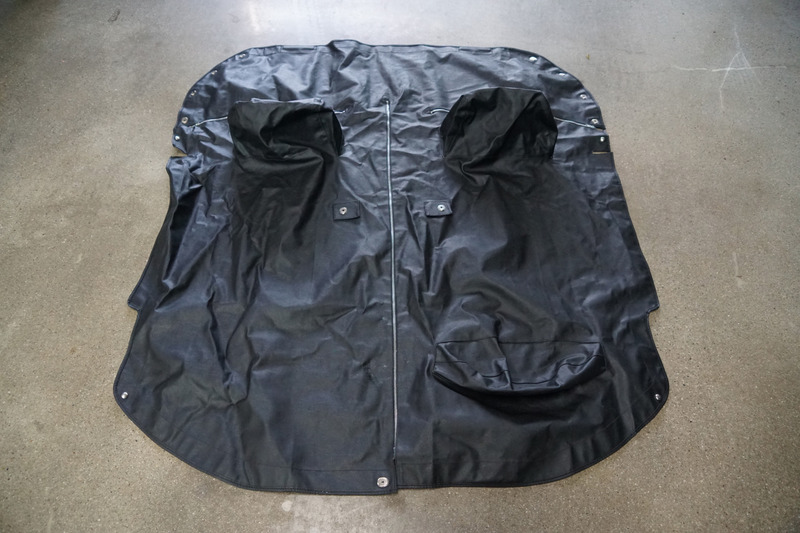 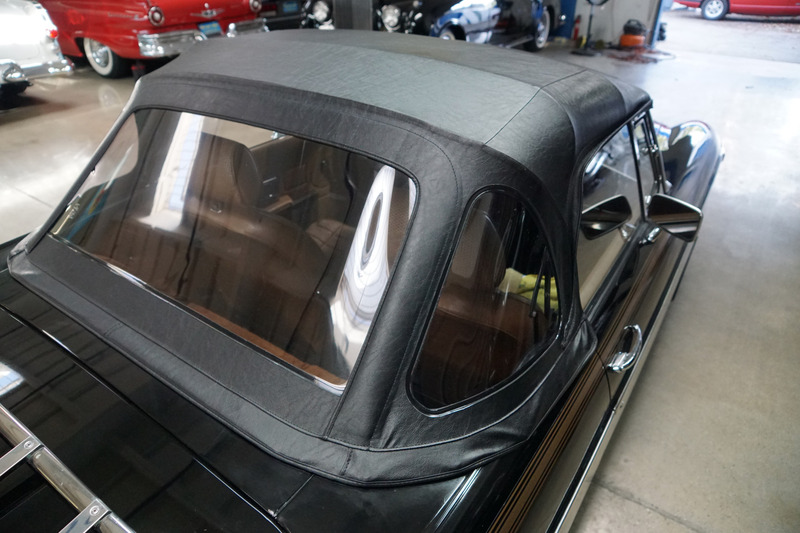 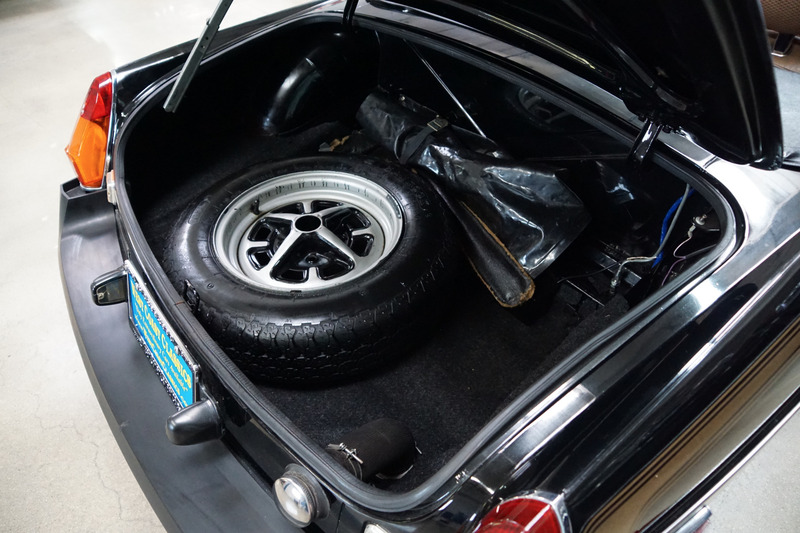 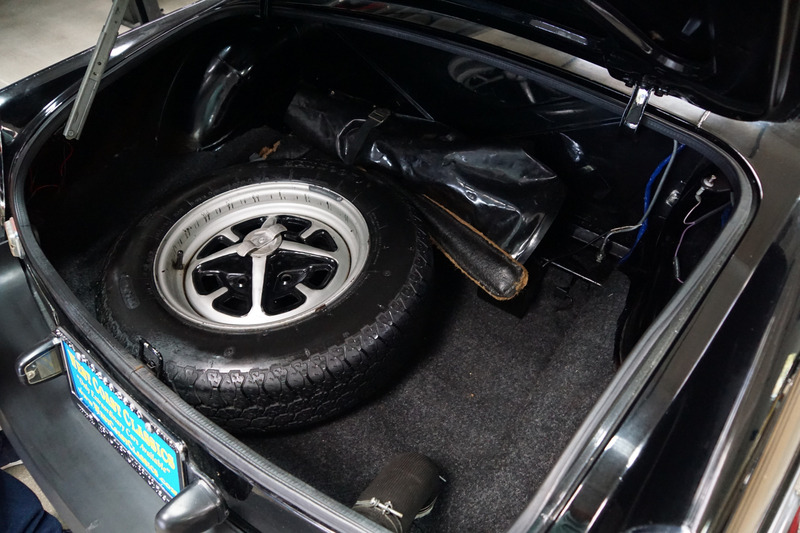 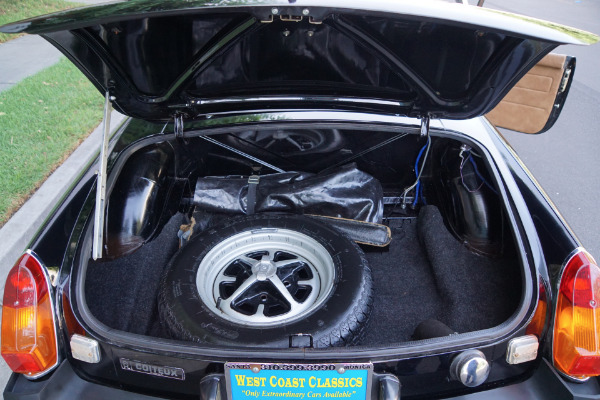 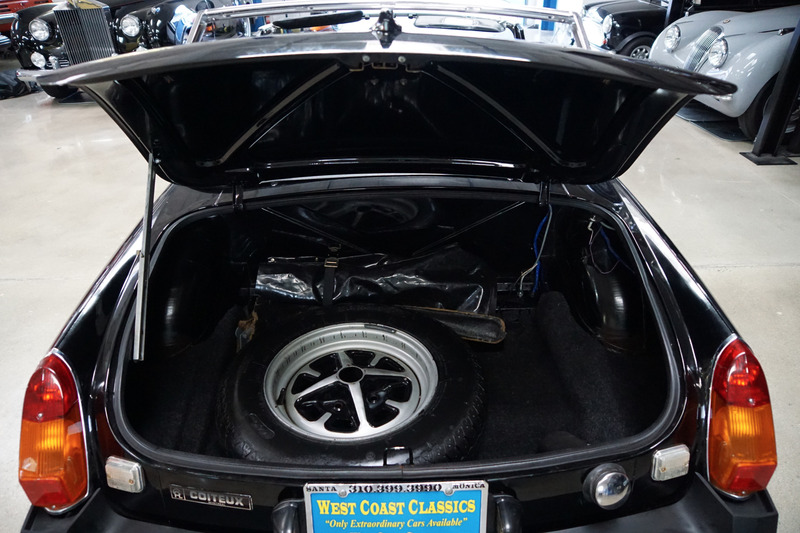 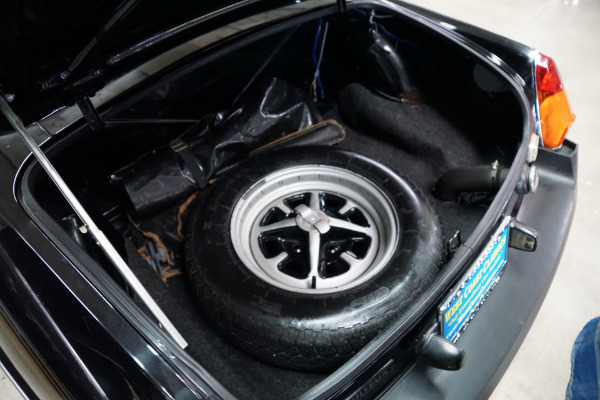 The car boasts it's original tonneau covers and it's original bag with the tire changing tools. 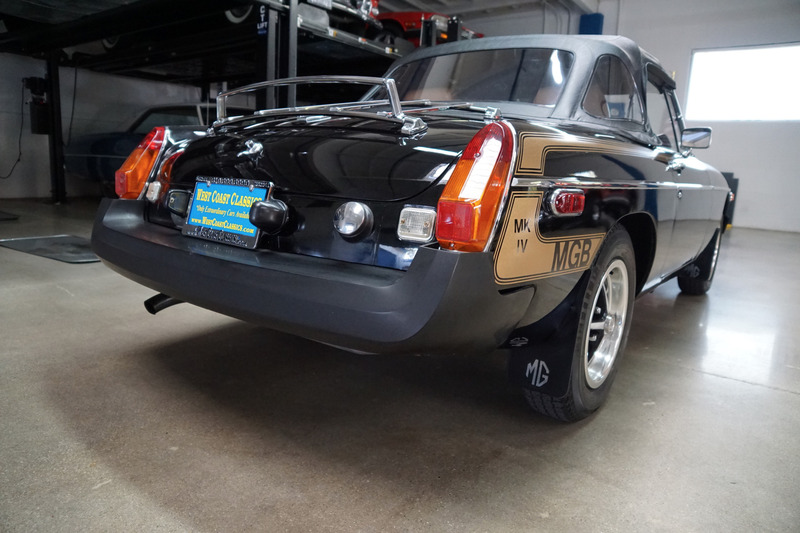 Without a doubt you will look long and hard to find a finer all original and unrestored example of this rare 1981 MGB Mark IV model and is a rare and legendary piece of British motoring history - the very last year example of the MGB and for that matter any MG - perfect for the MG enthusiast or any classic British car collector!